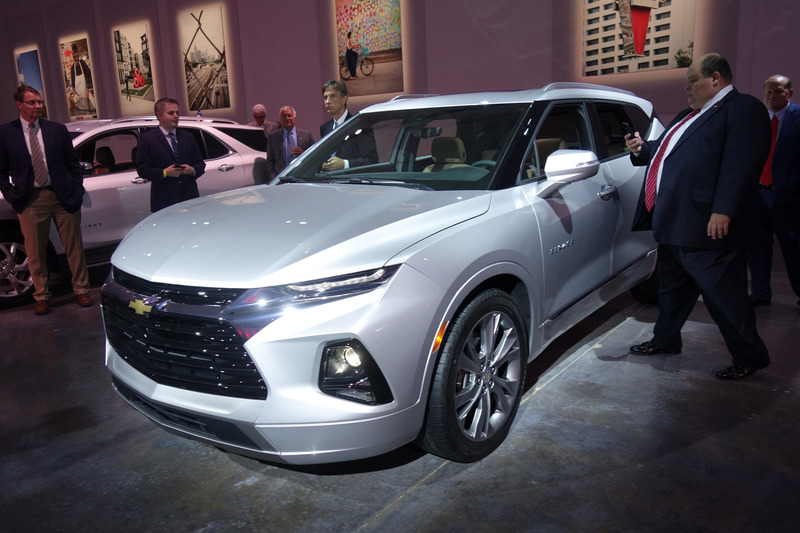 Of course there was some grumbling from diehards that it doesn’t look as beefy and boxy as the original Blazer or even the smaller 2005 version, but that’s why they killed it, right? 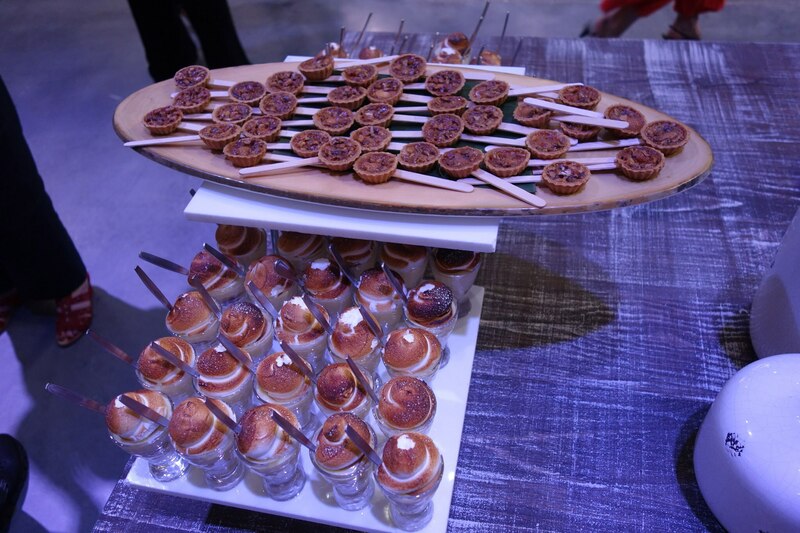 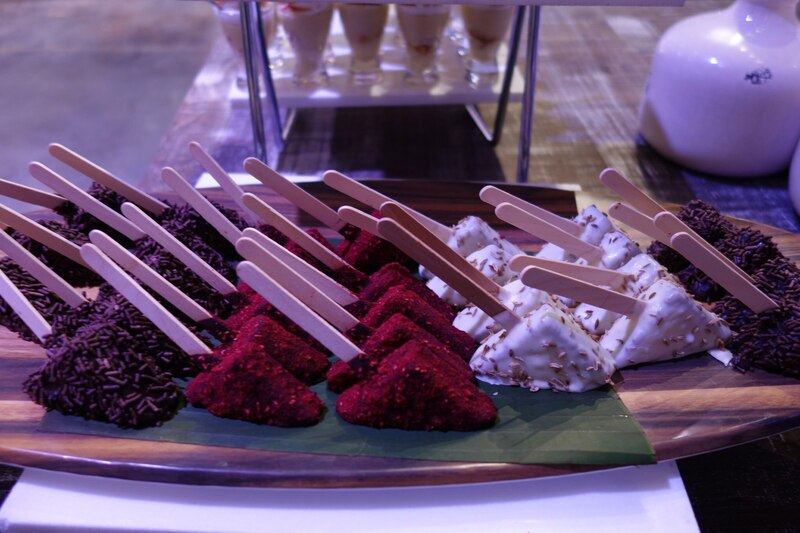 Have another BBQ Beef Sundae and some Banana Pudding Shots and check out the all-new version here. 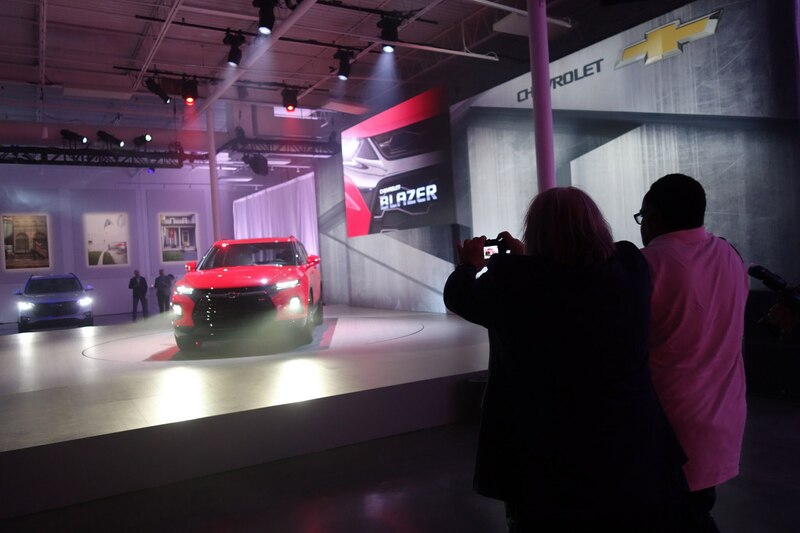 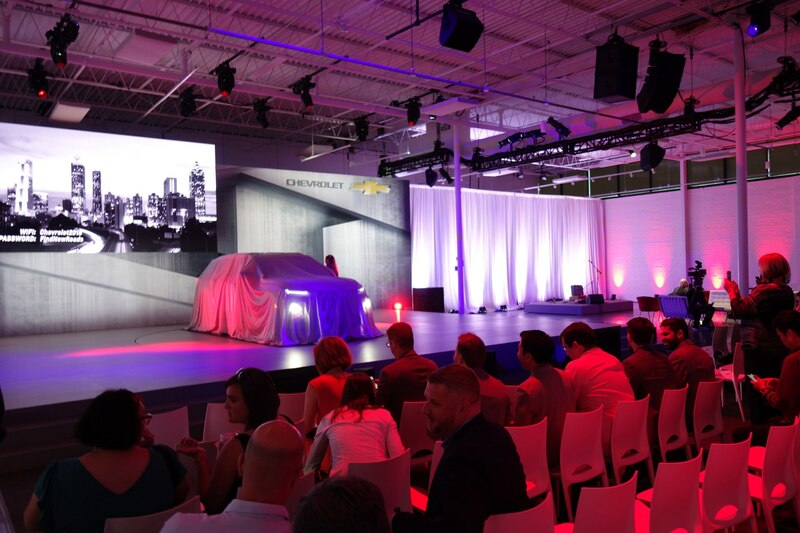 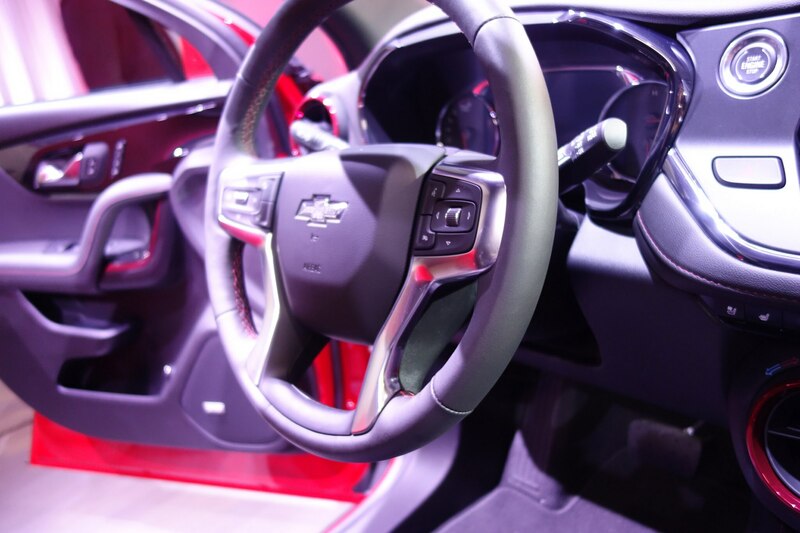 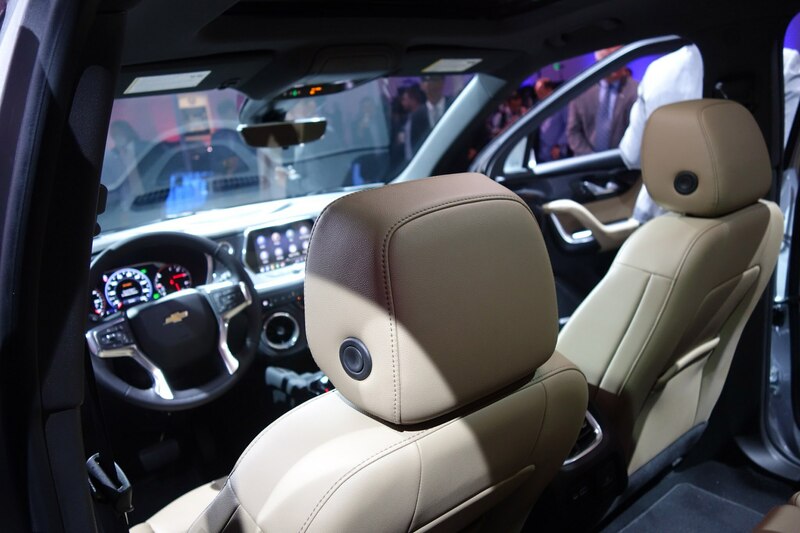 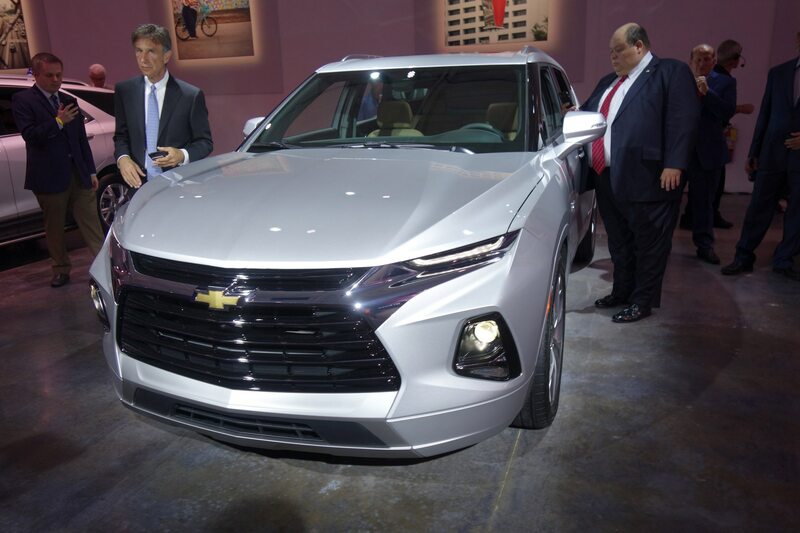 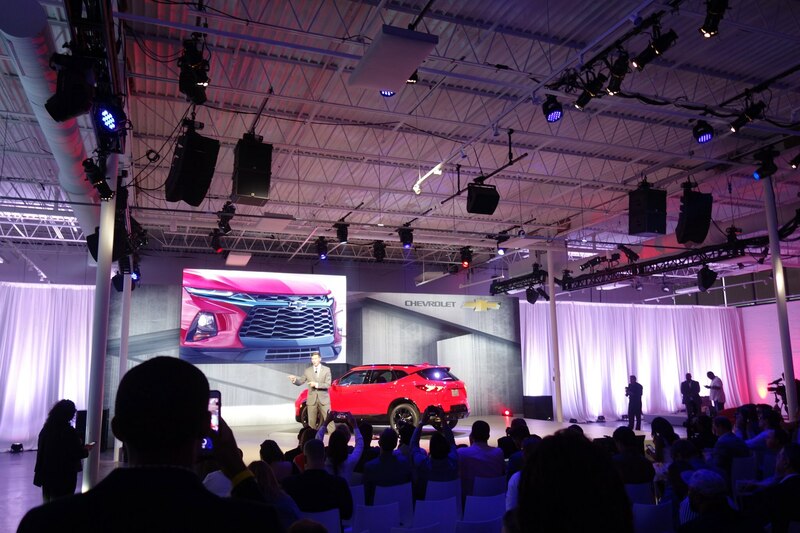 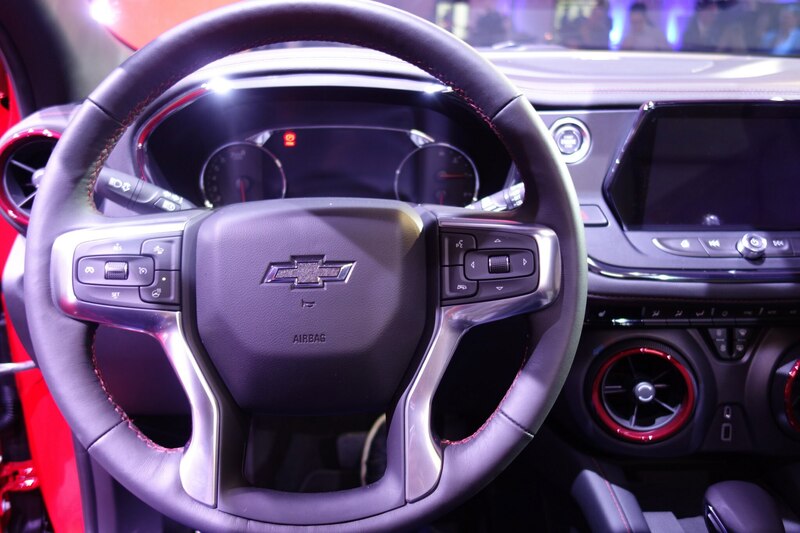 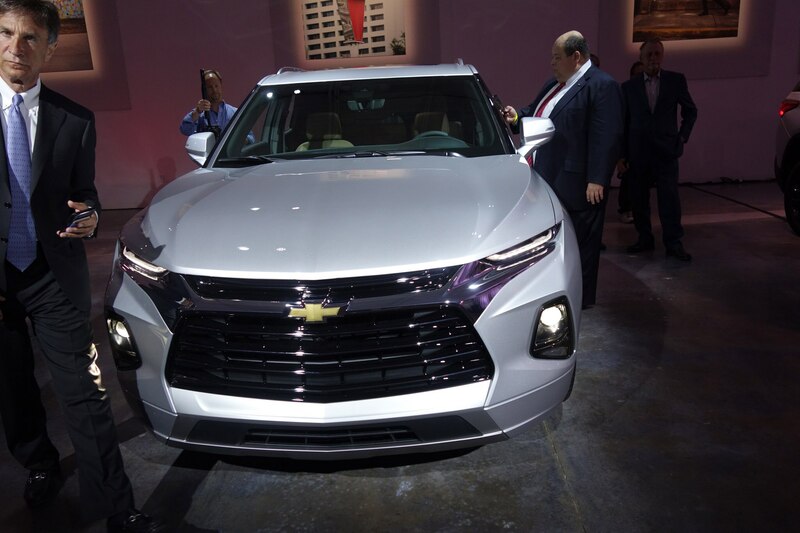 The Bow Tie brand choose to launch the Blazer in Atlanta because it is one of the biggest markets for Chevrolet in the U.S. we are told. 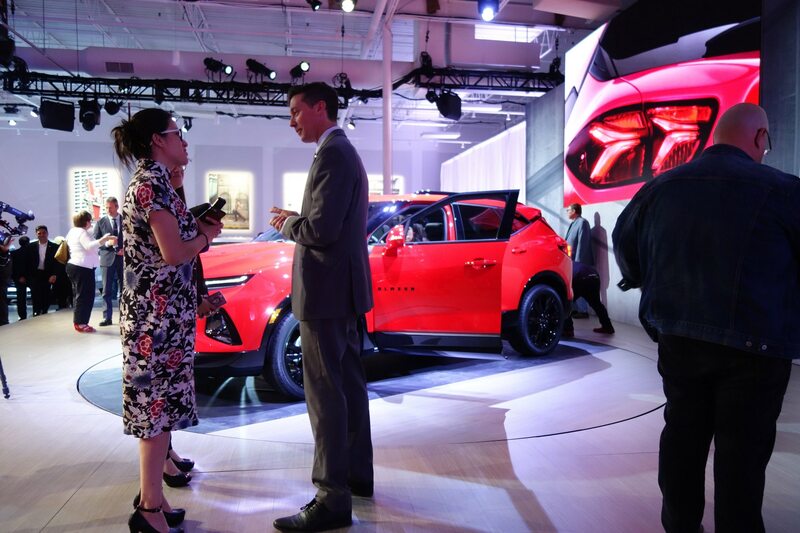 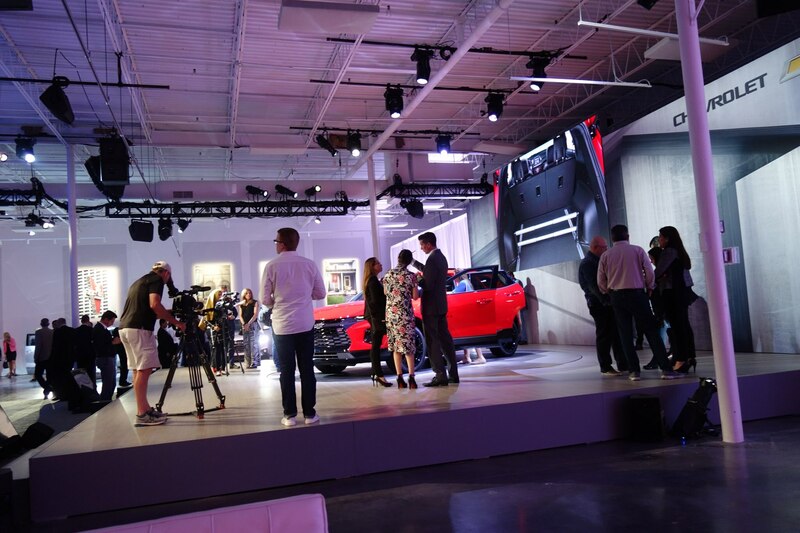 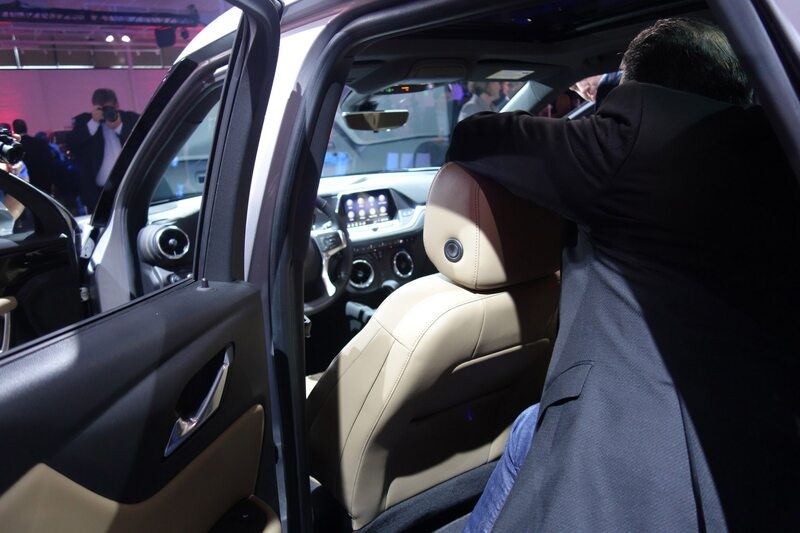 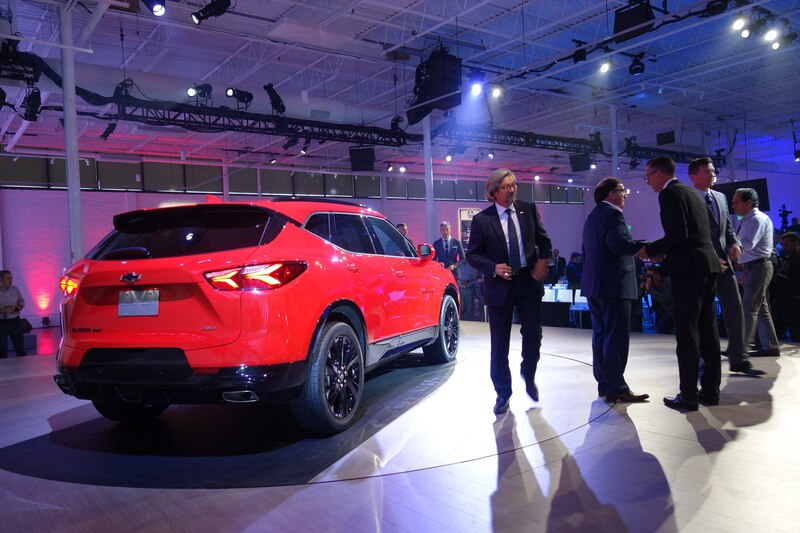 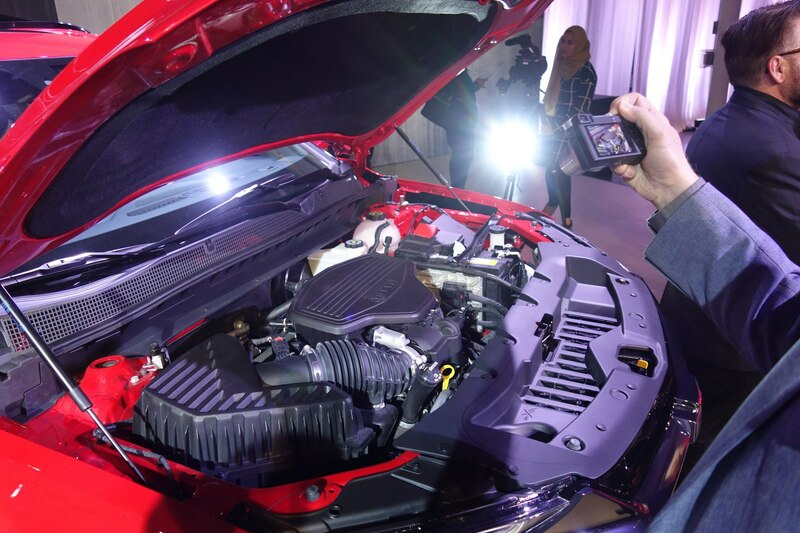 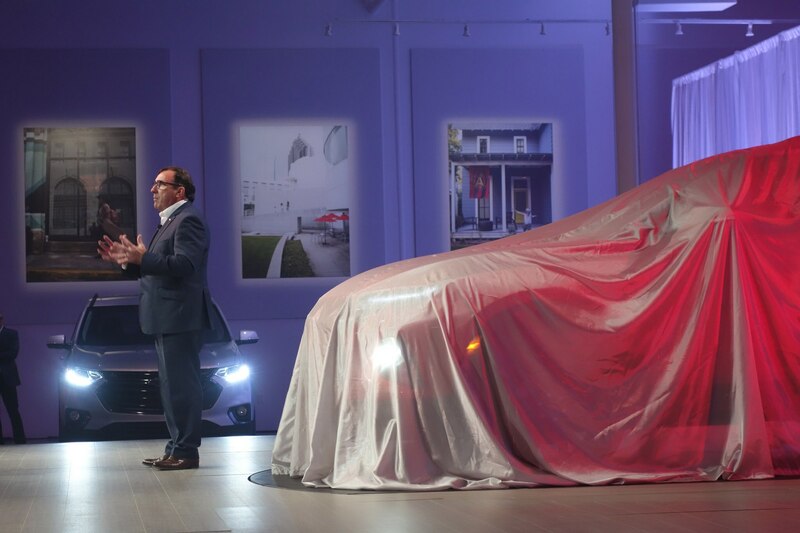 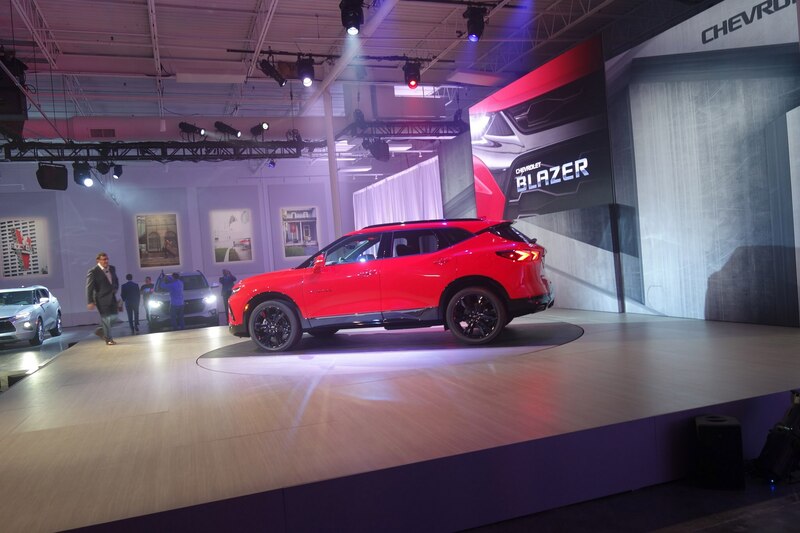 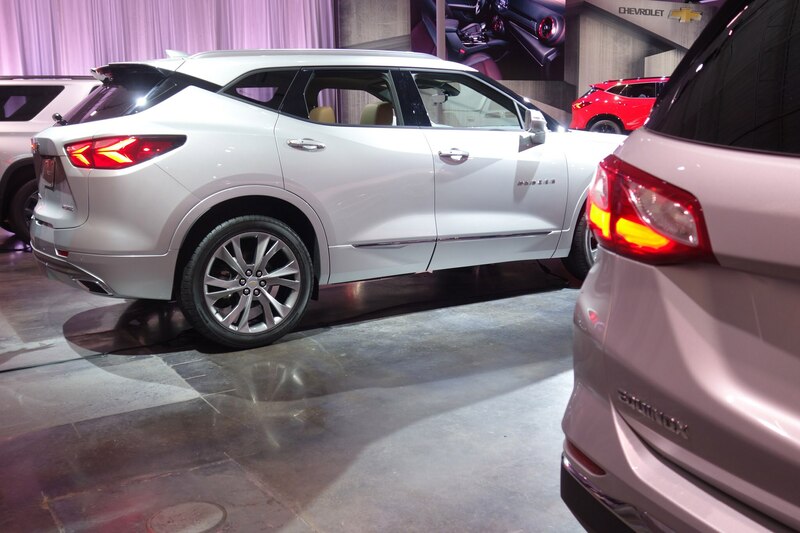 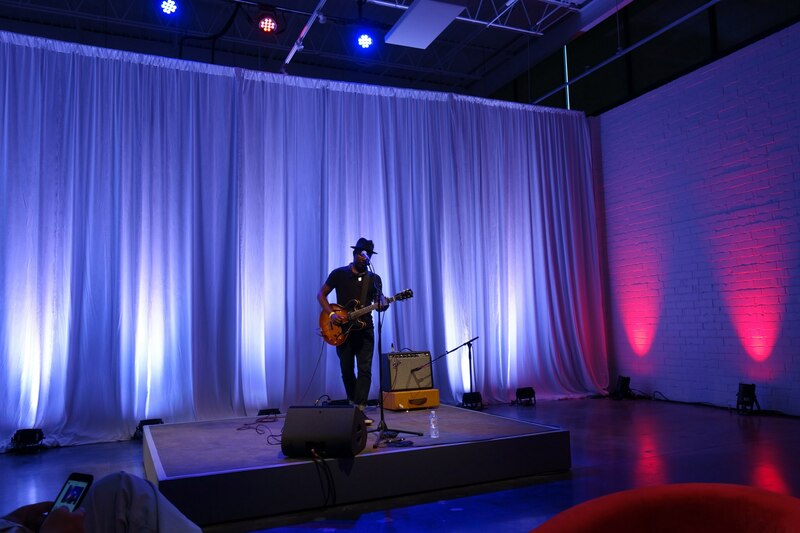 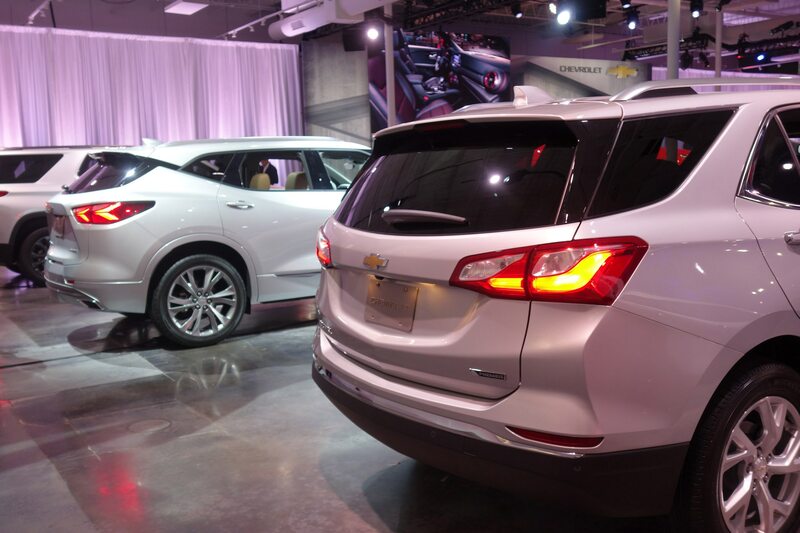 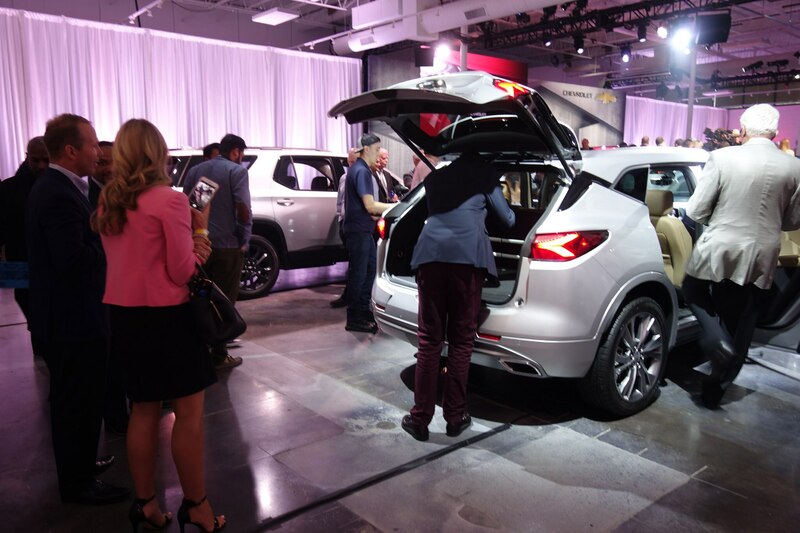 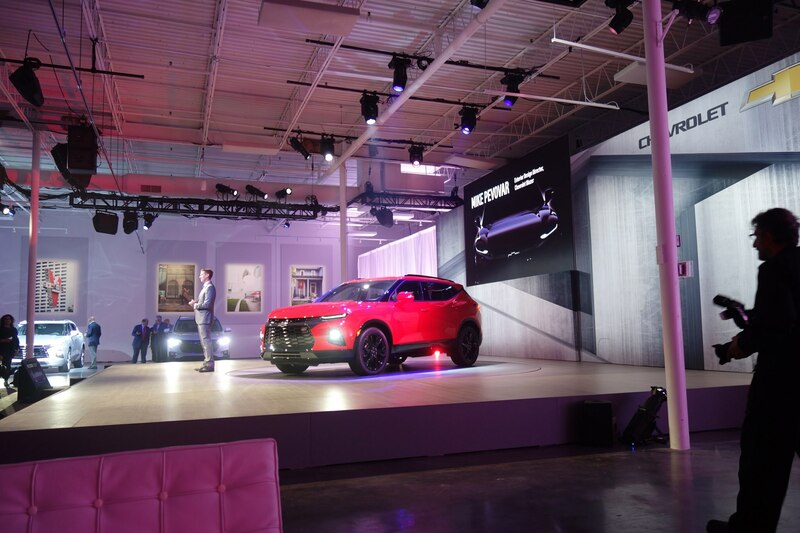 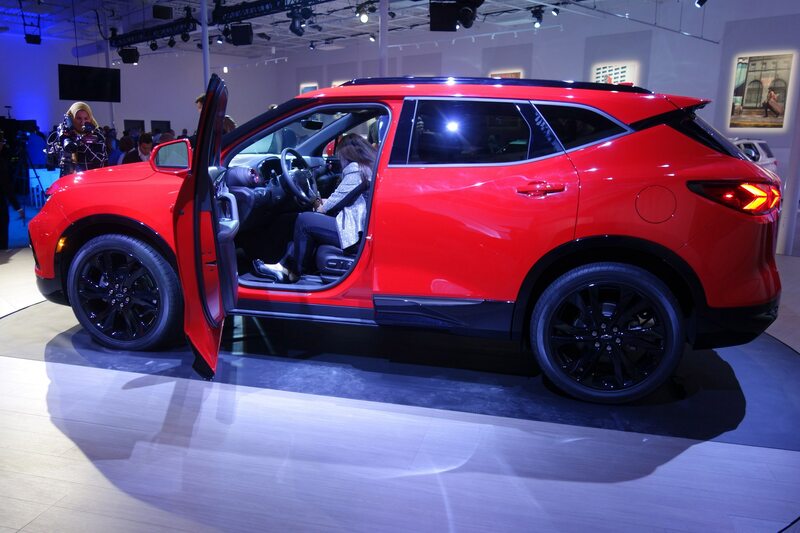 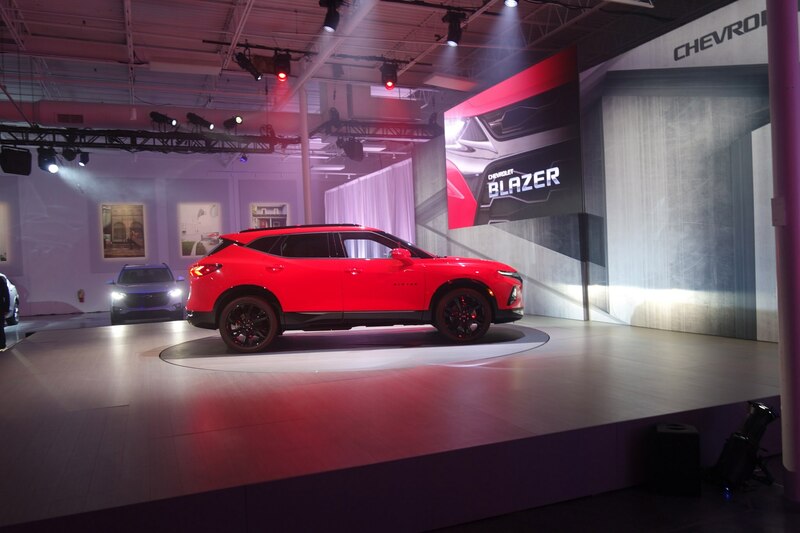 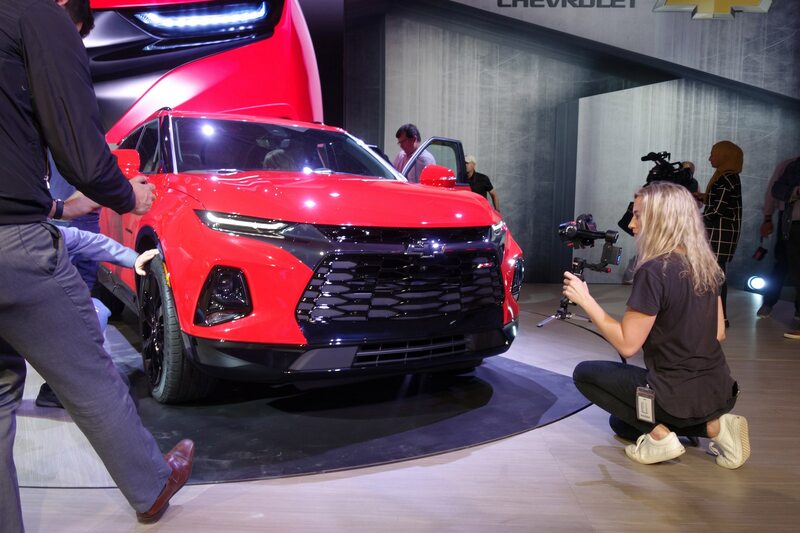 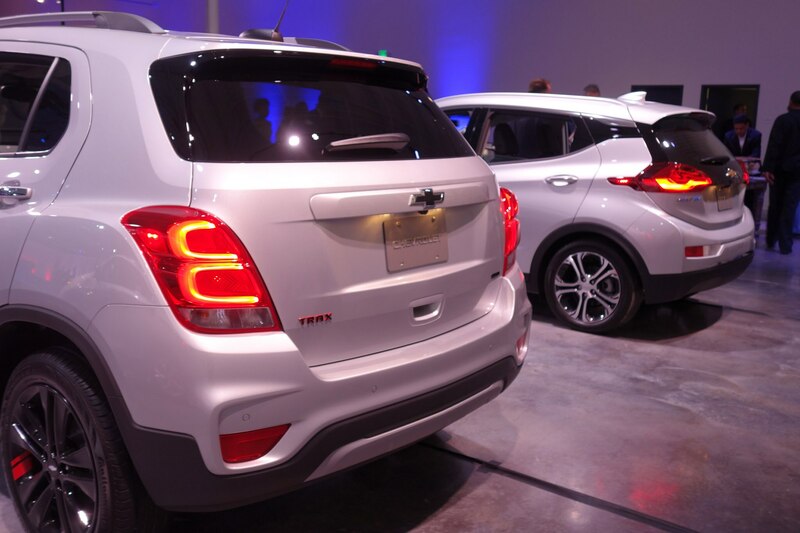 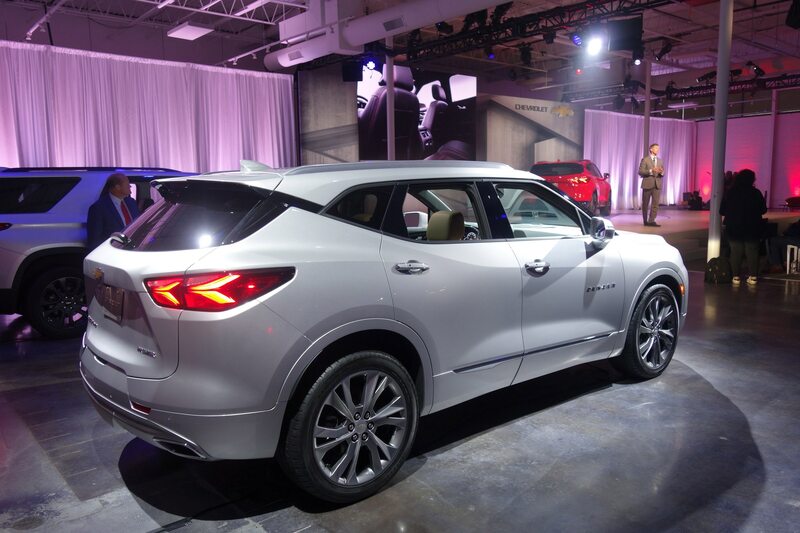 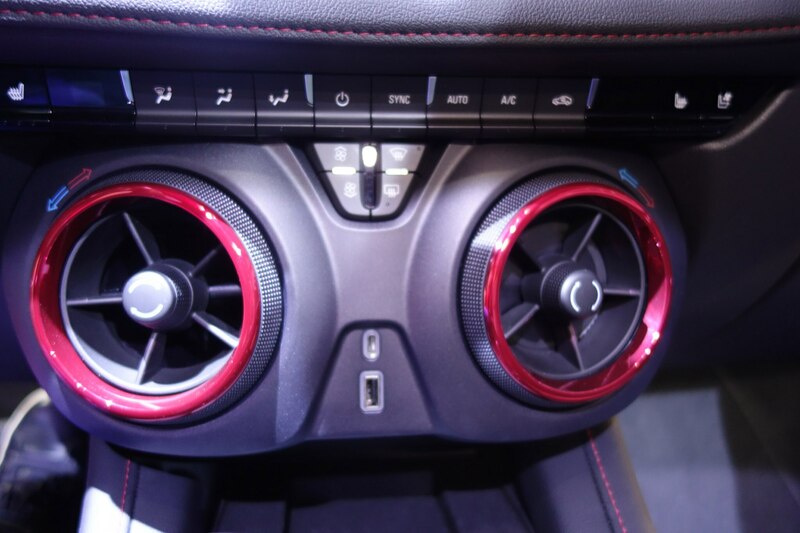 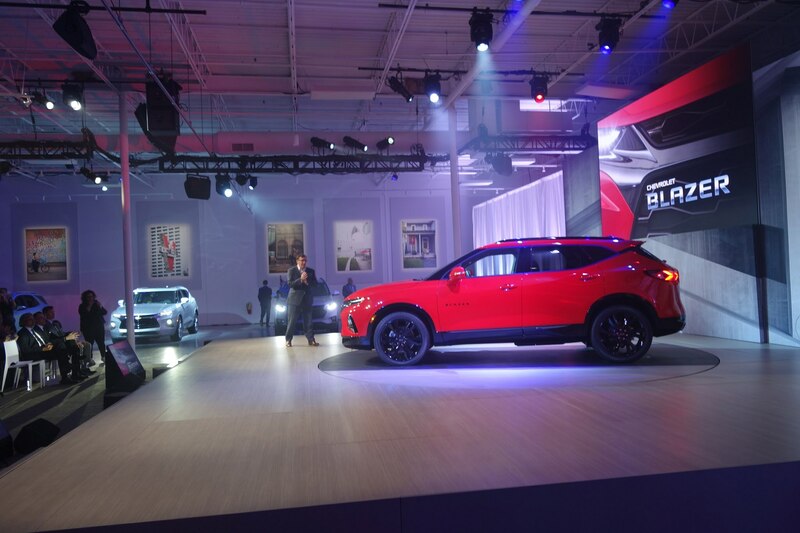 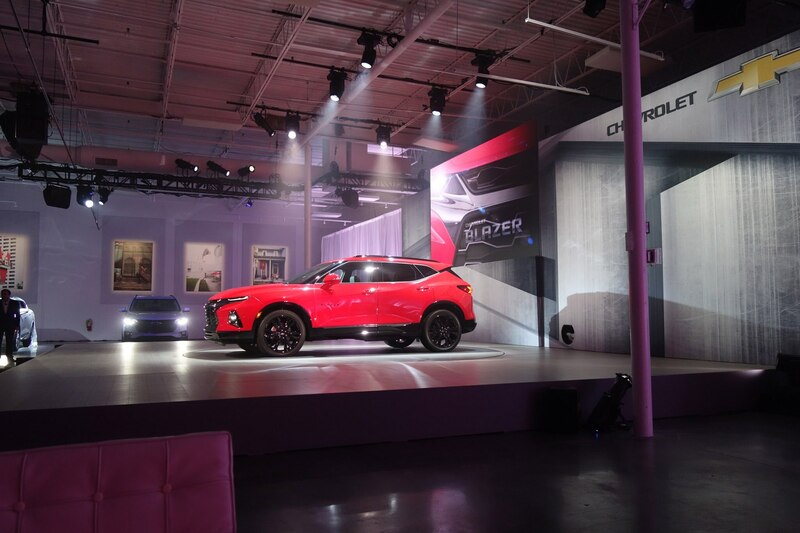 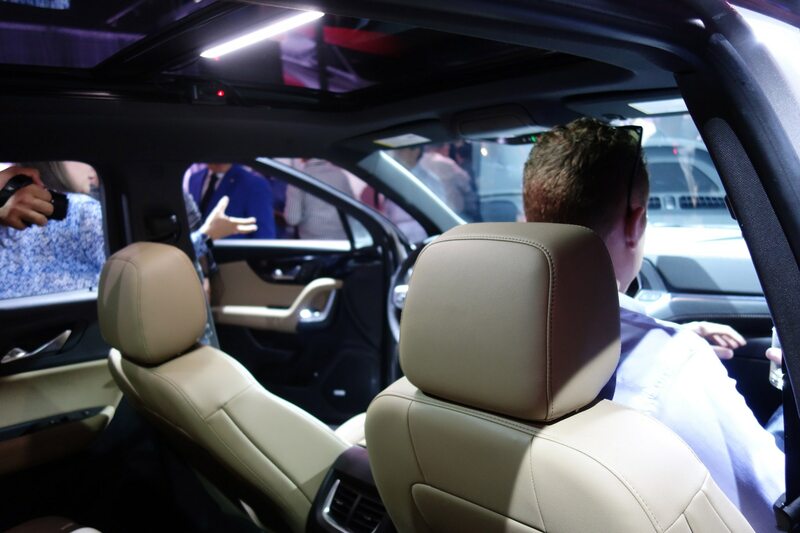 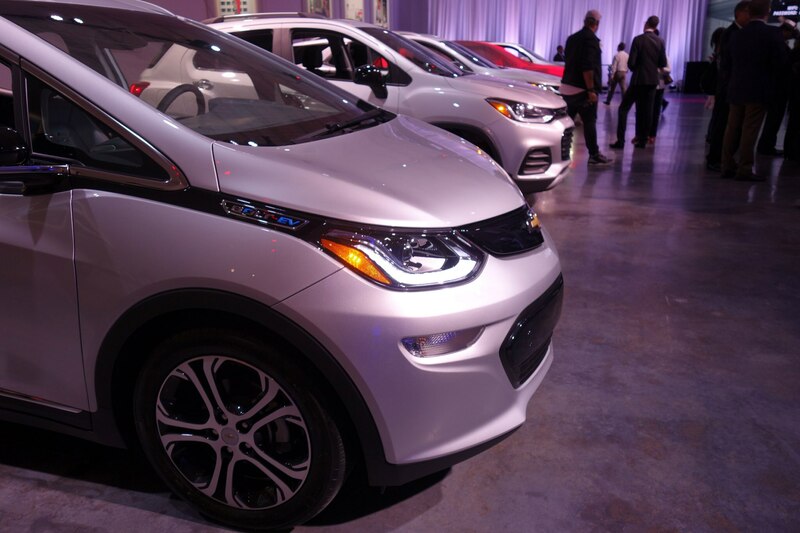 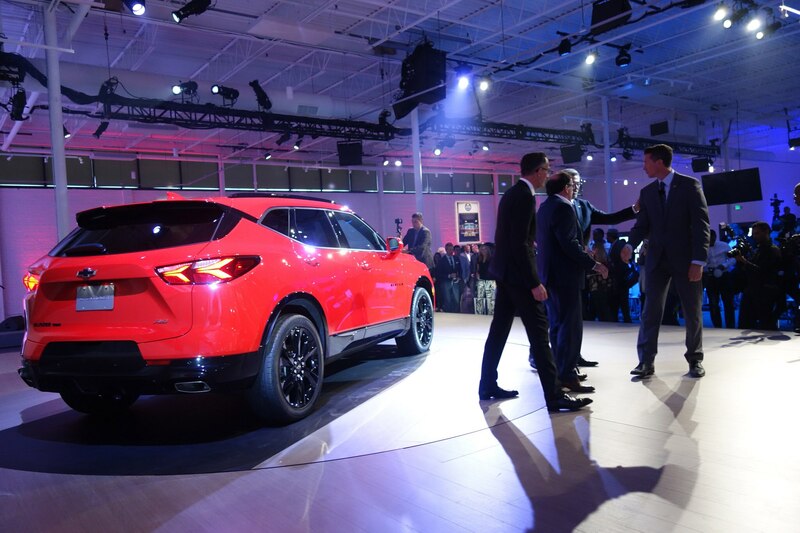 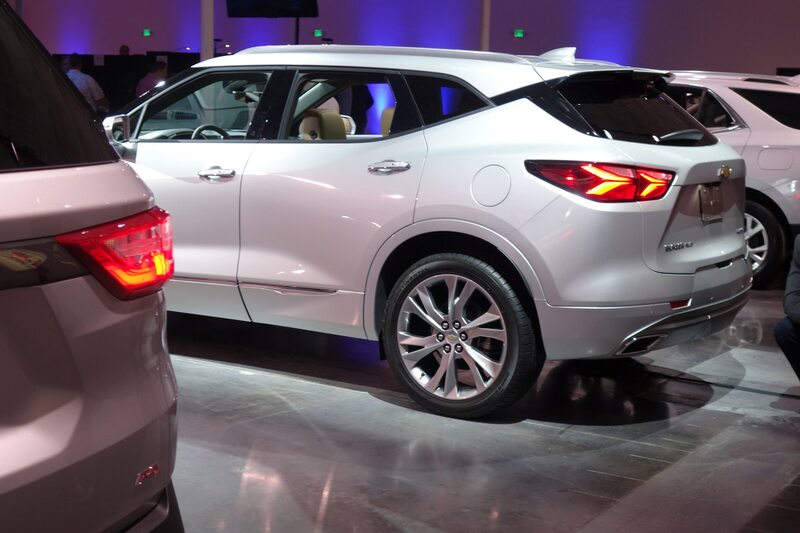 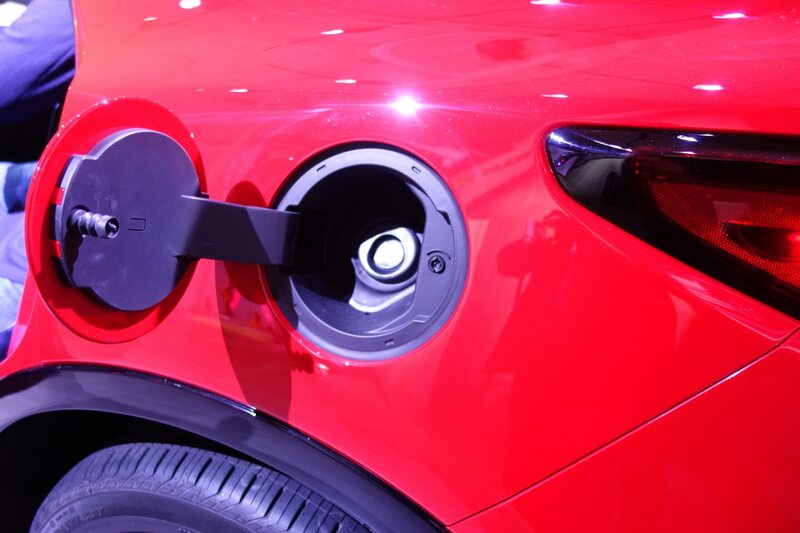 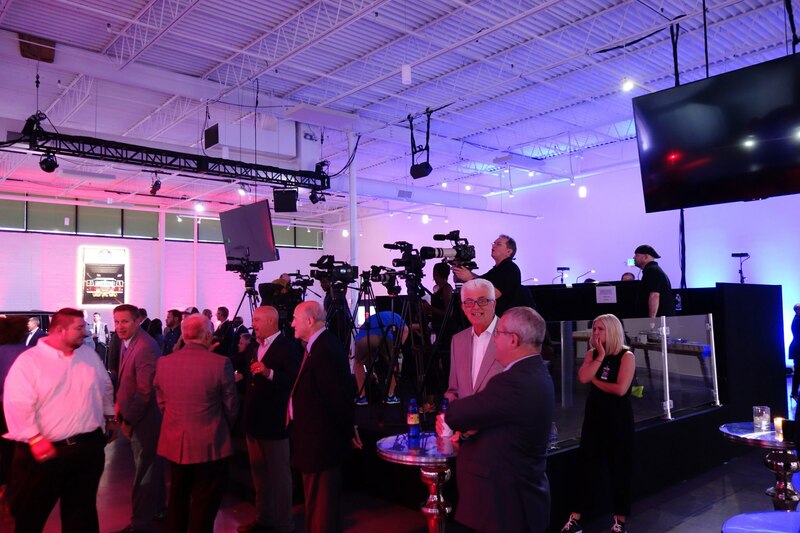 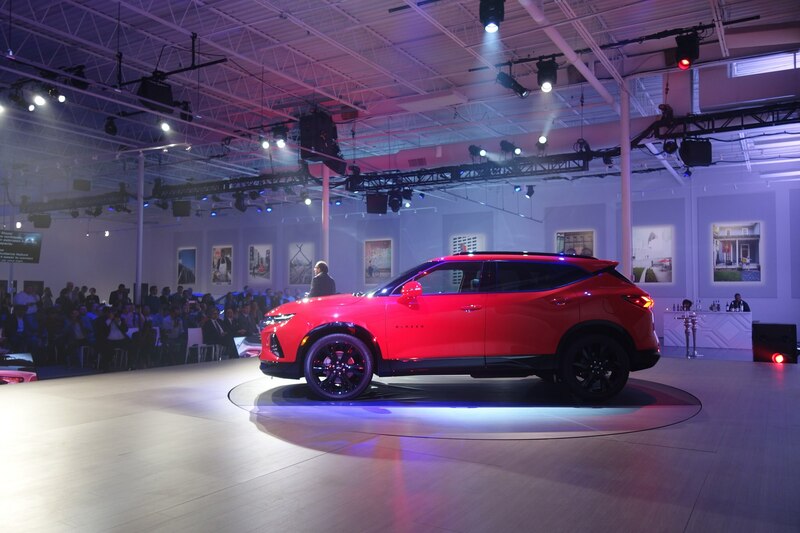 There were two new models on display for the crowd of about two hundred to check out along with the company’s other SUVs, crossovers, and even a Chevy Bolt for comparisons. 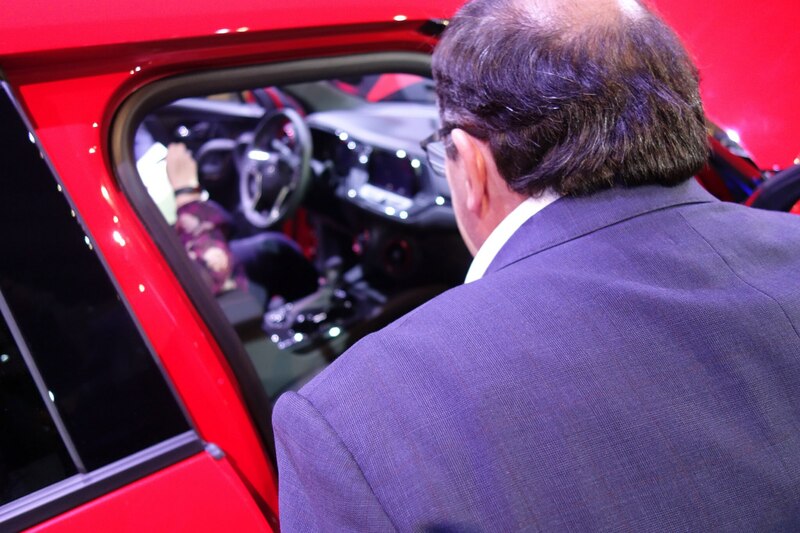 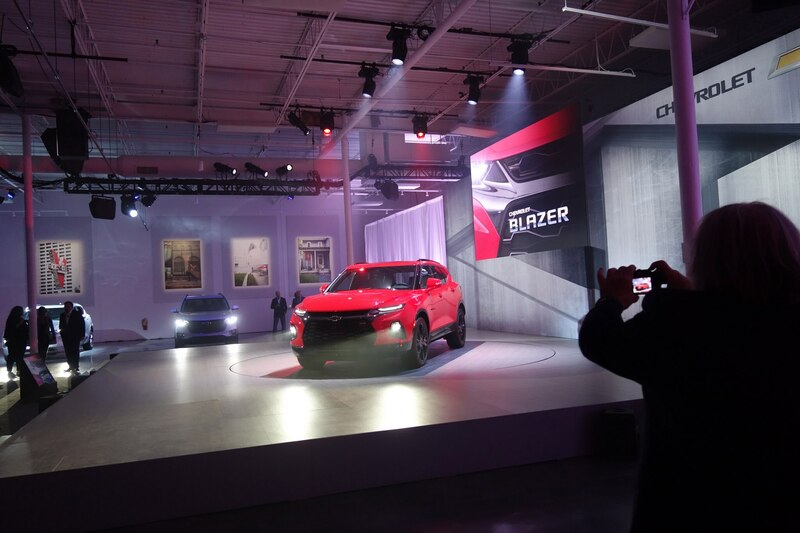 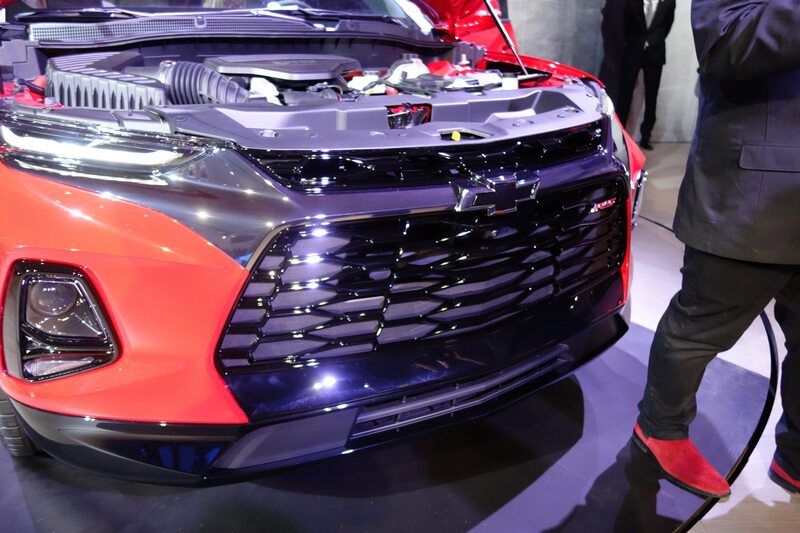 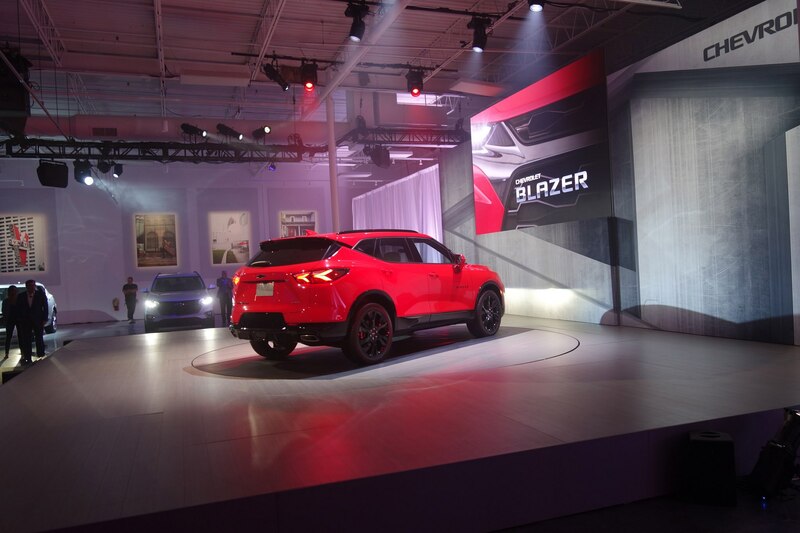 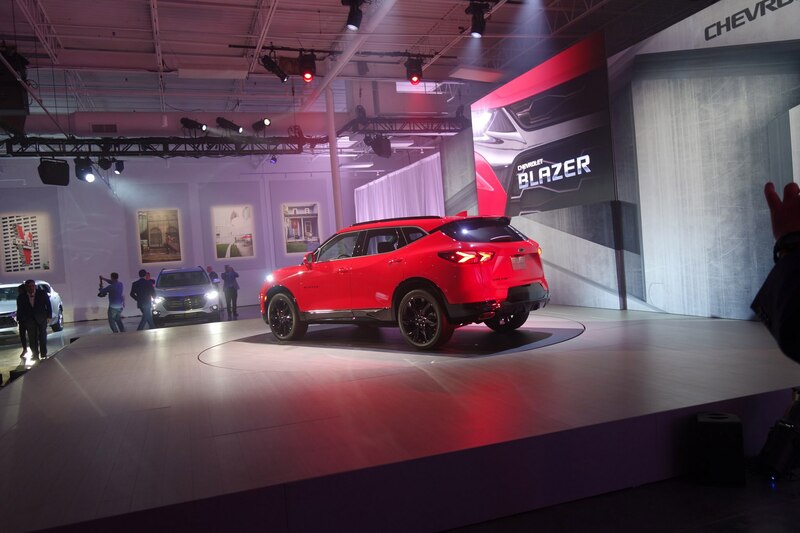 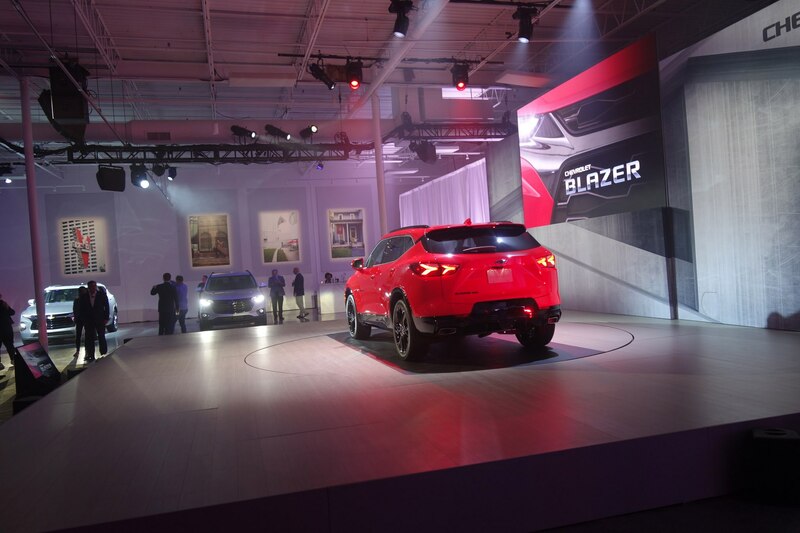 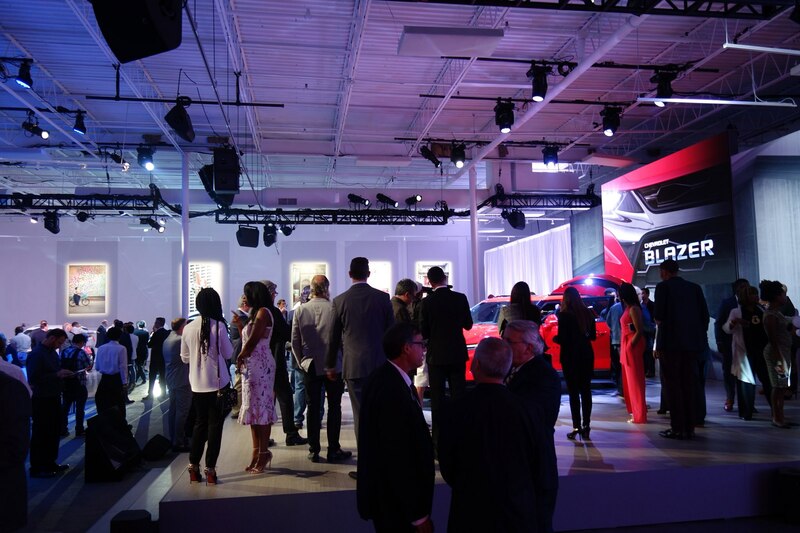 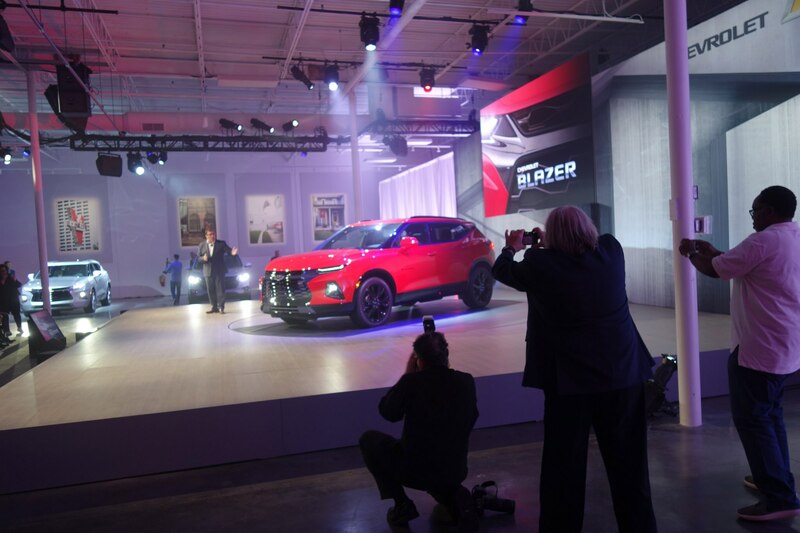 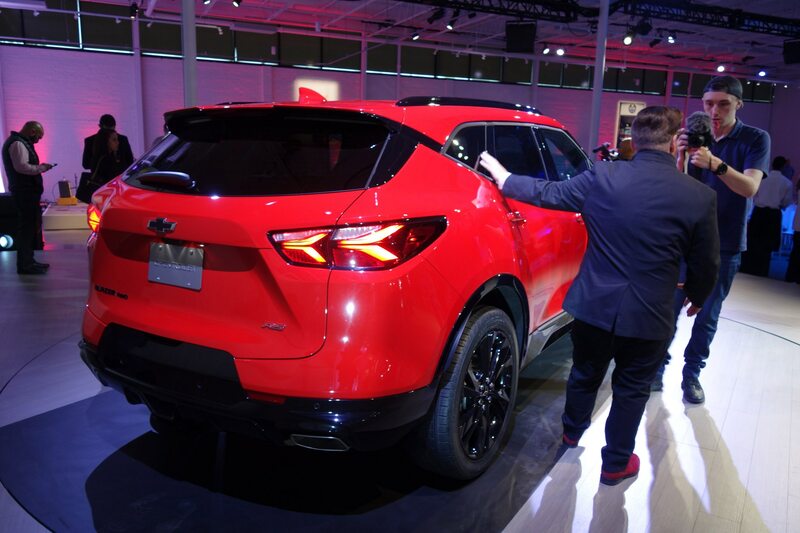 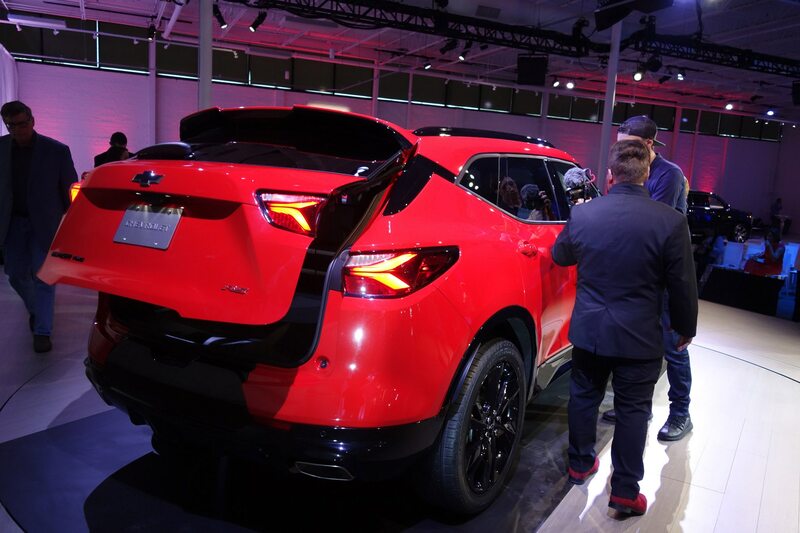 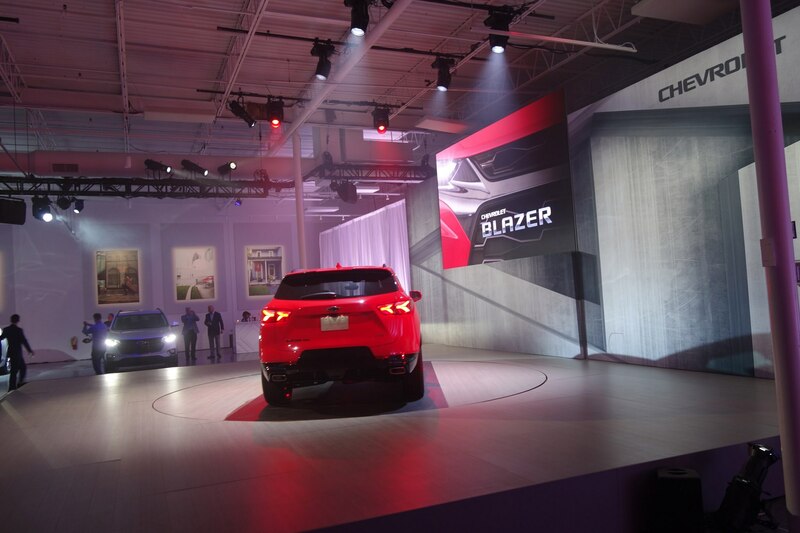 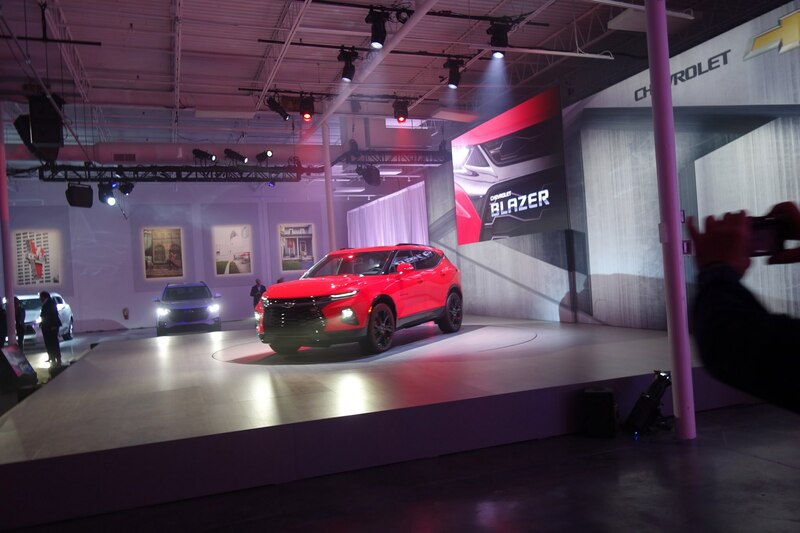 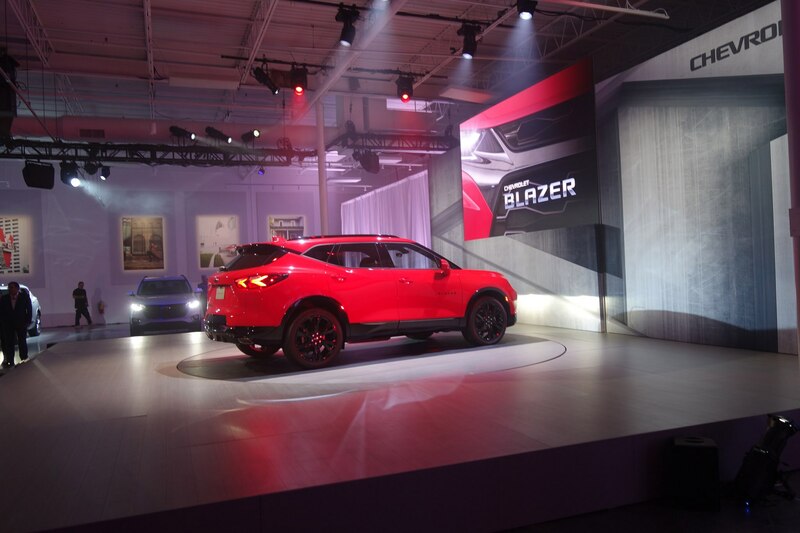 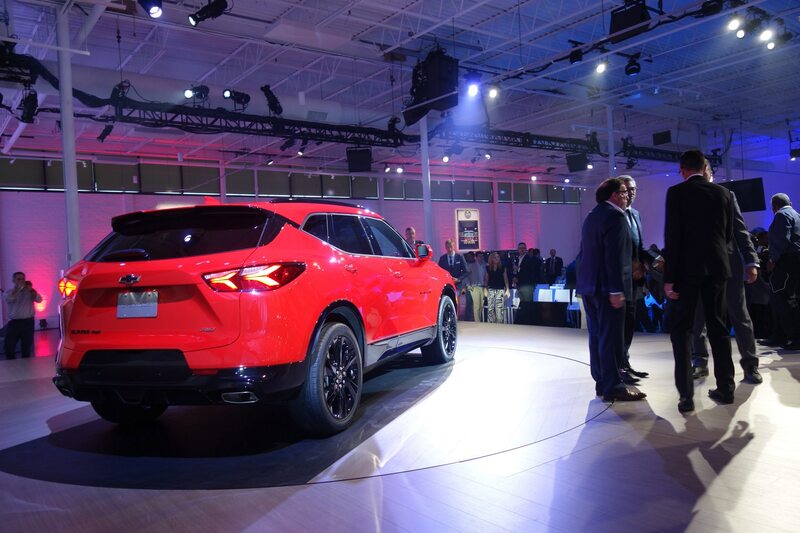 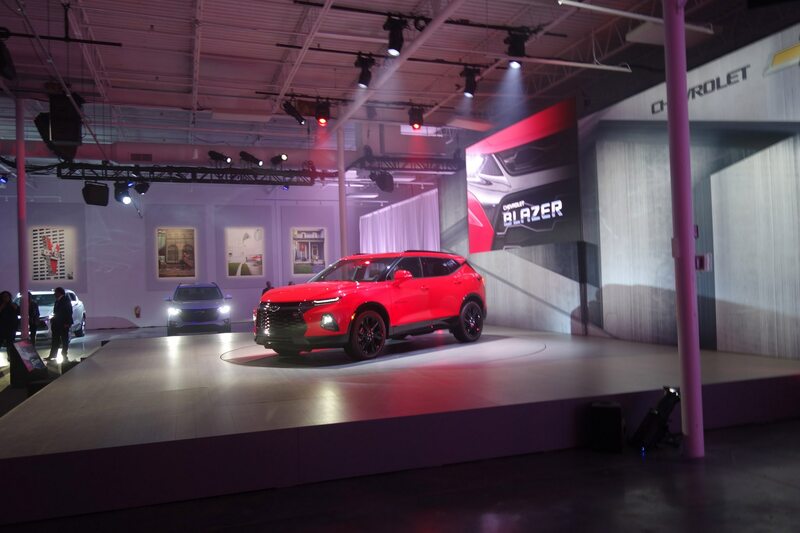 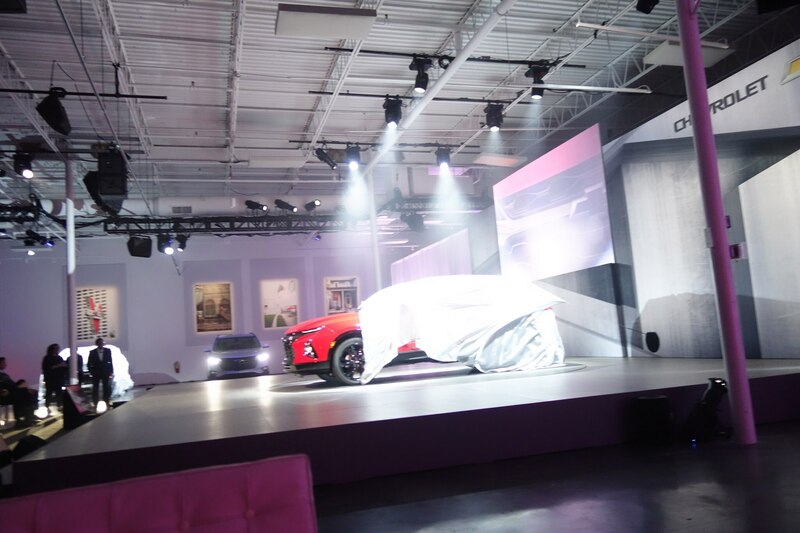 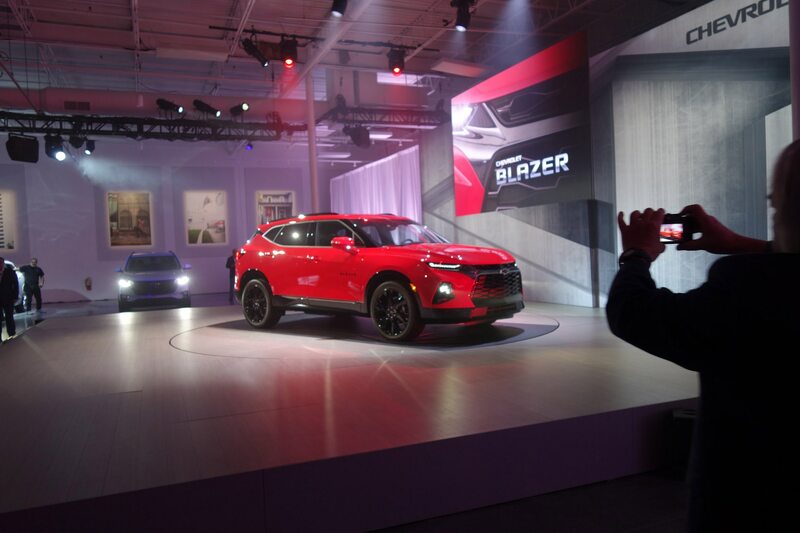 Most of the crowd was eyeballing the red Blazer RS with all-wheel drive (AWD) on the main stage because of its sporty looks. 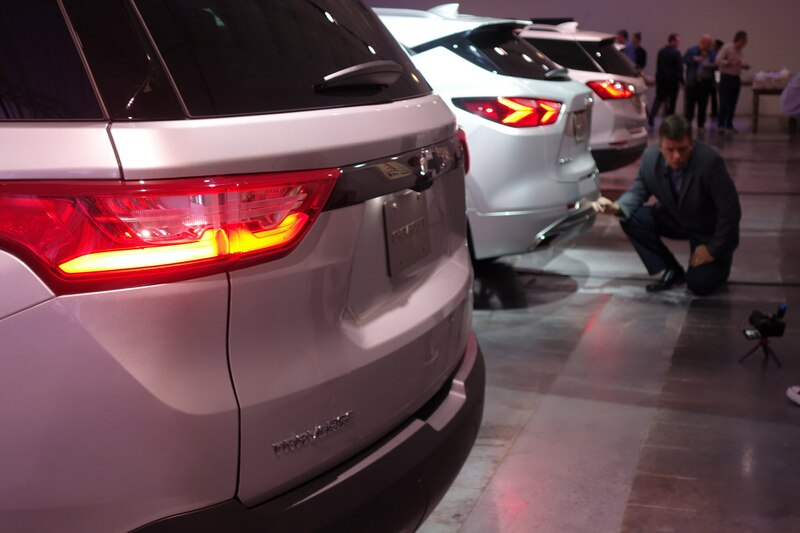 The silver Blazer Premier model, also with AWD was parked off to the side between a larger Traverse SUV and a smaller Equinox crossover—both in silver as well. 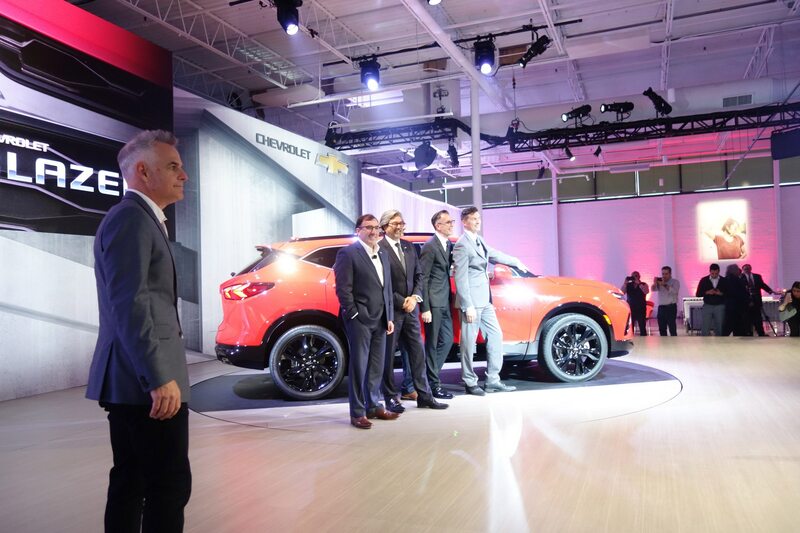 From this vantage point it was much easier to tell the trio apart. 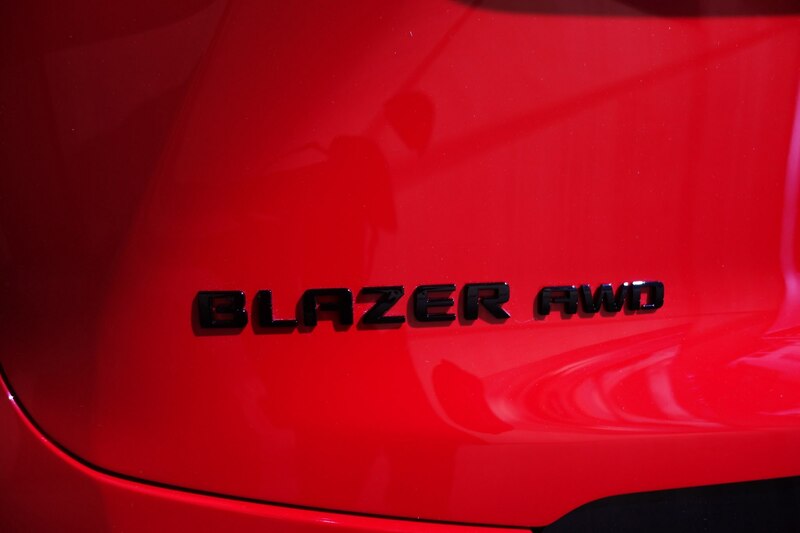 We’ve enjoyed driving the Traverse and the Equinox and are looking forward to taking the Blazer out for a test run. 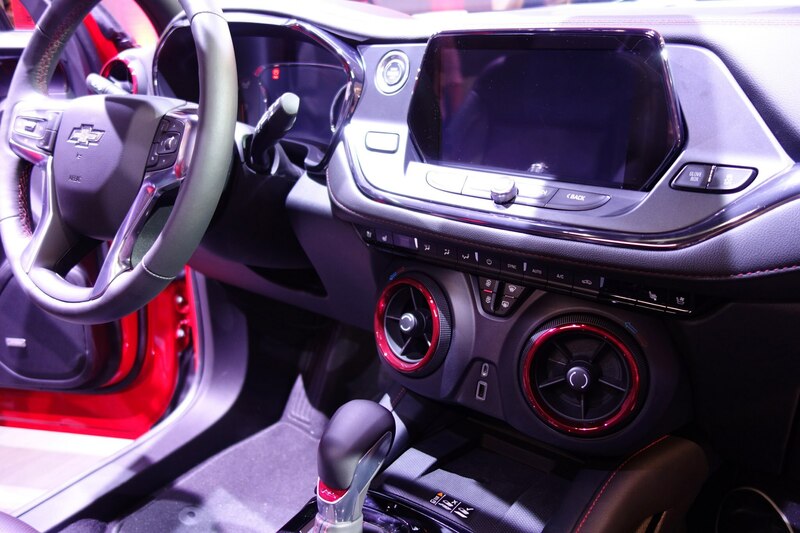 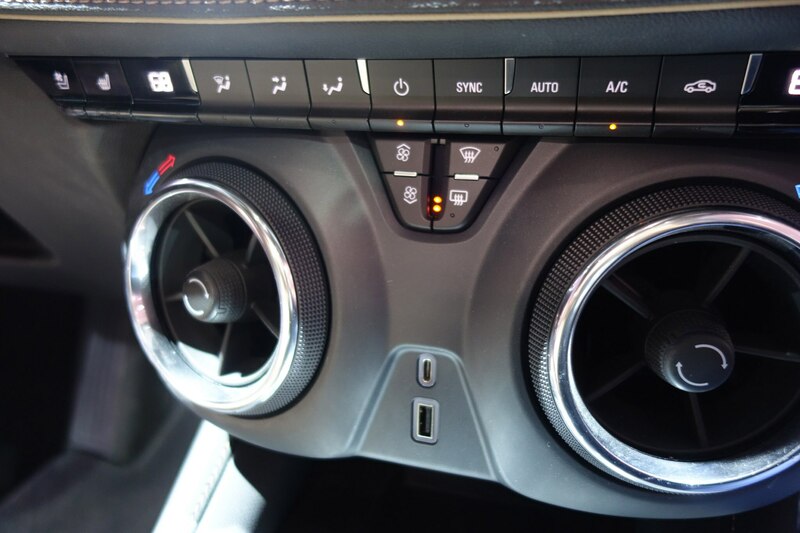 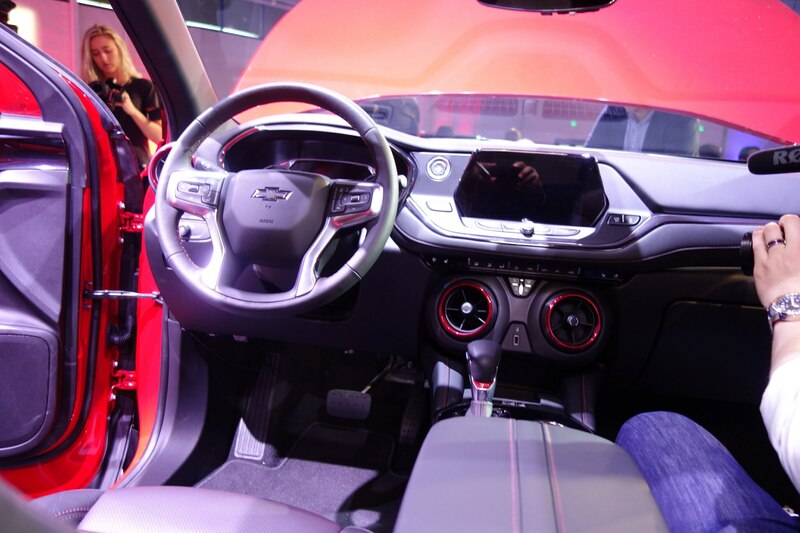 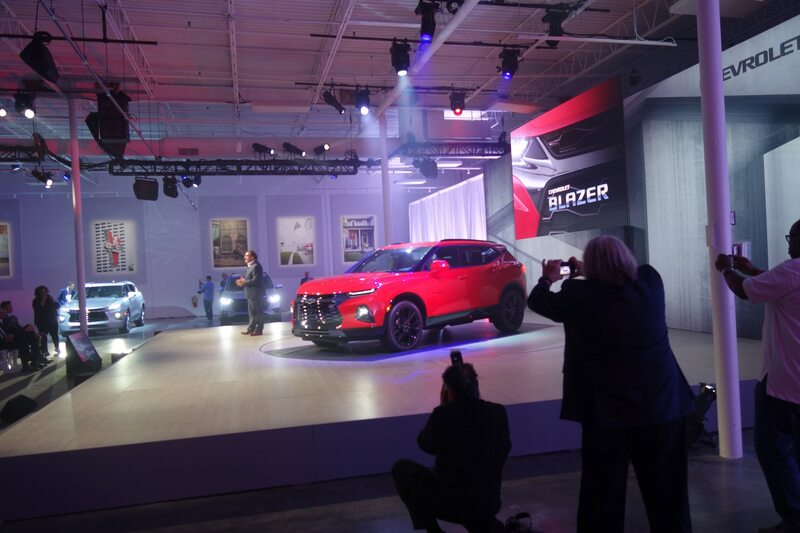 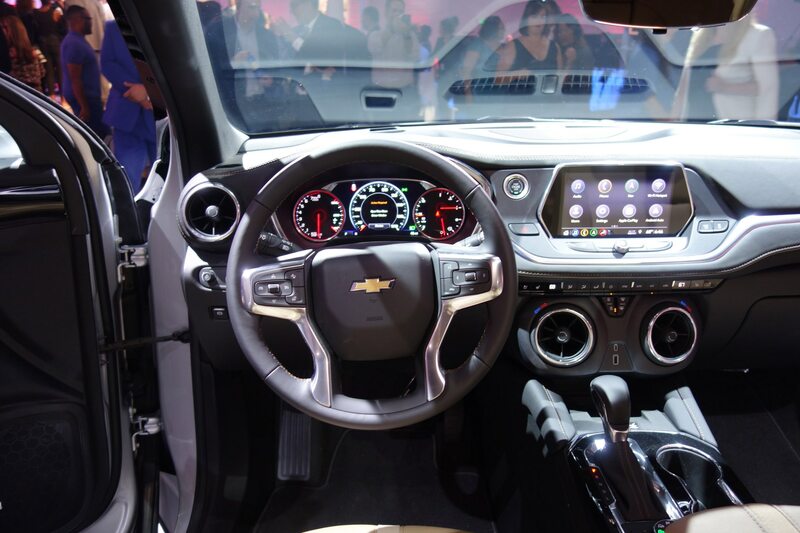 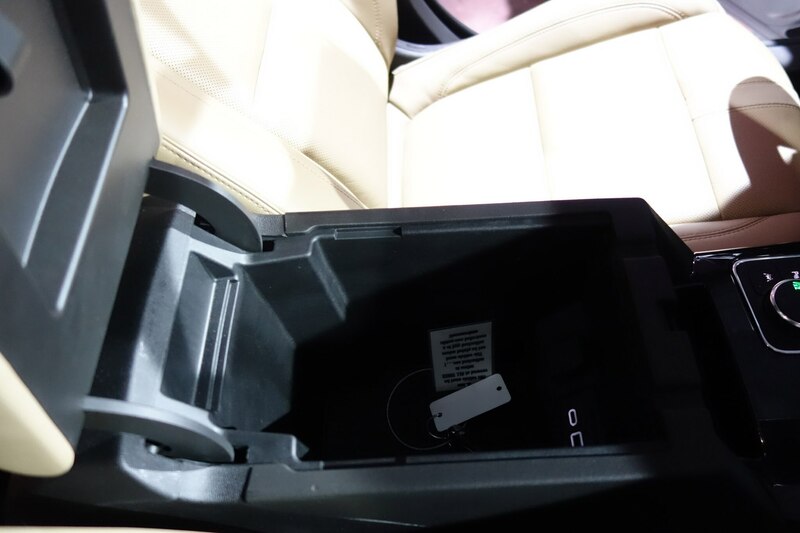 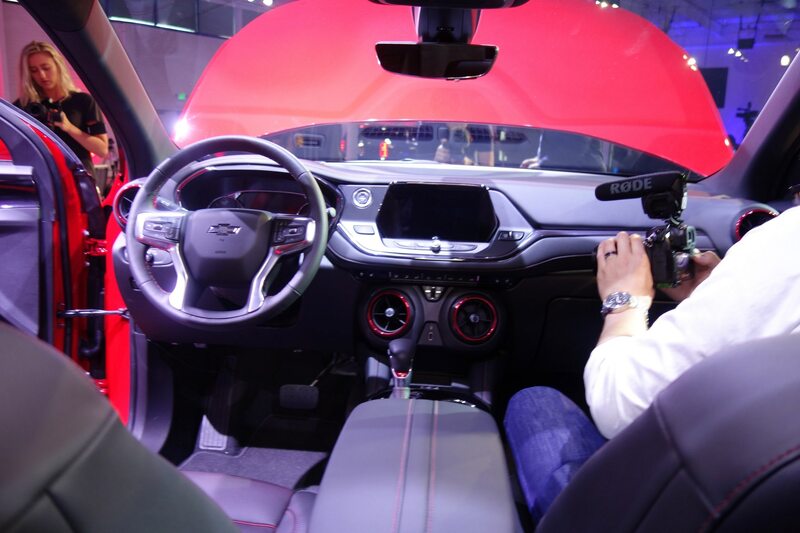 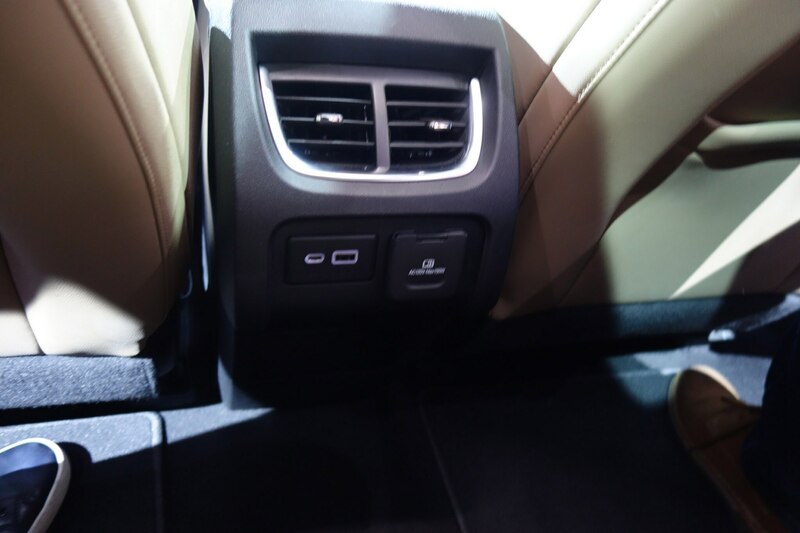 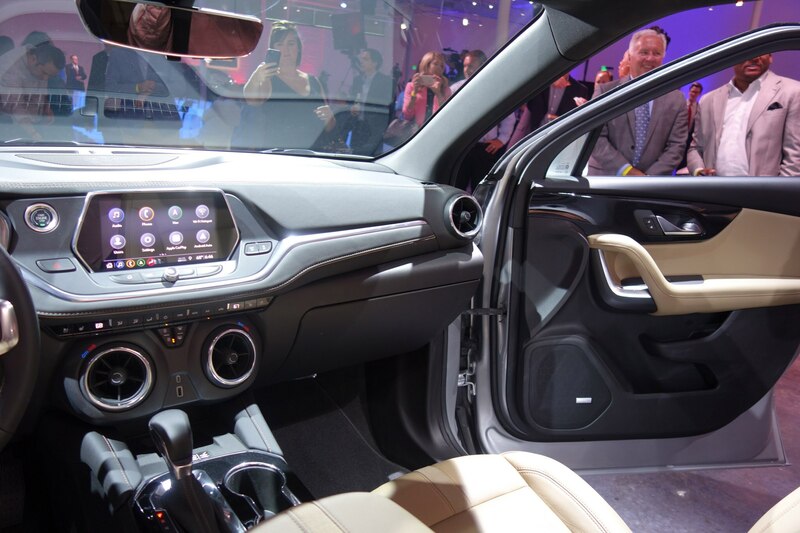 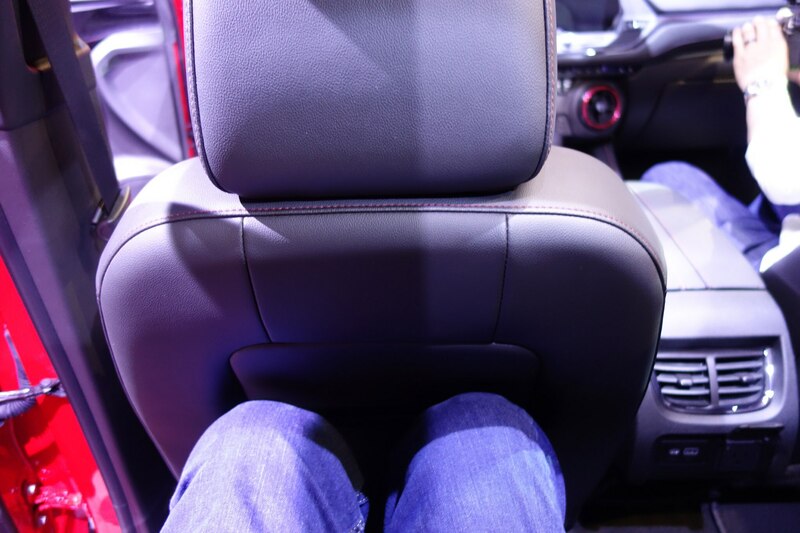 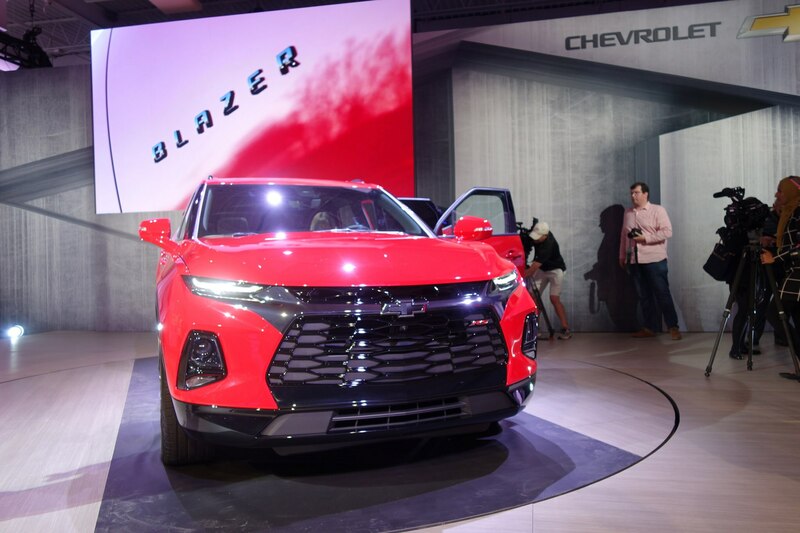 Inside, it shares a lot of tech with its siblings and should appeal to small families whose members may have grown up with a previous version of the Blazer. 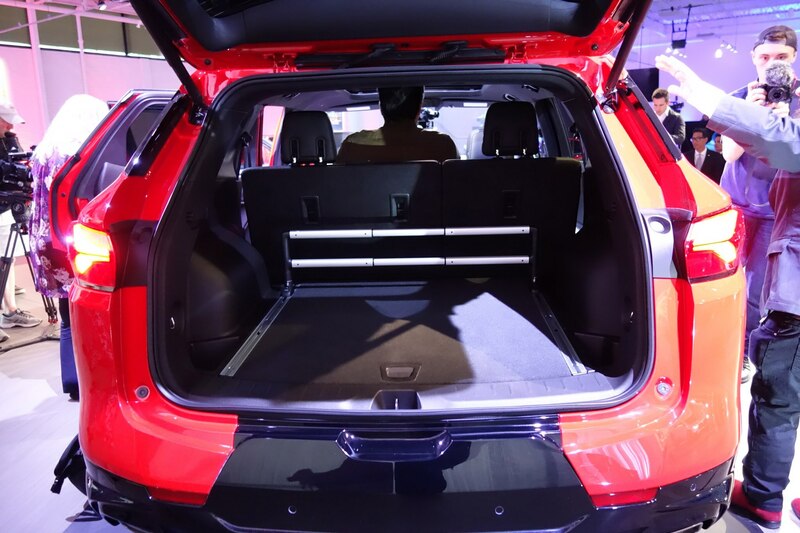 The five-seater offers up to 64.2 cubic feet of cargo space and there’s even enough leg room for most grown-ups in the back seat. 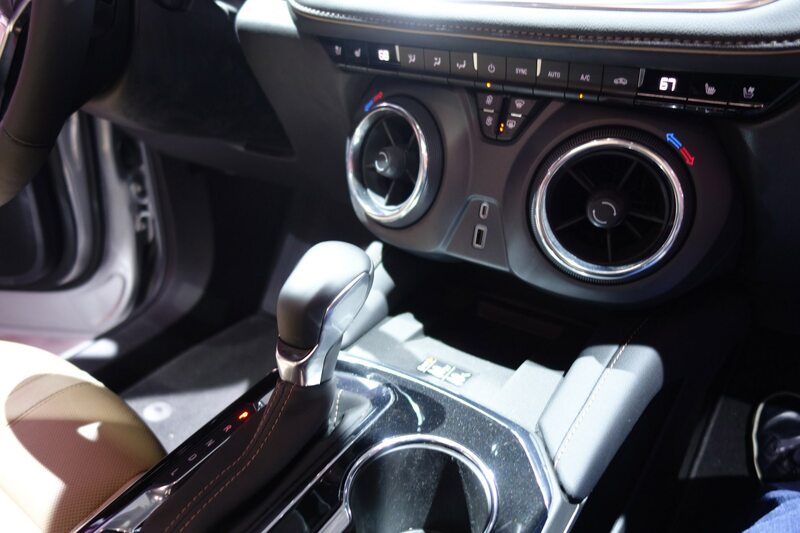 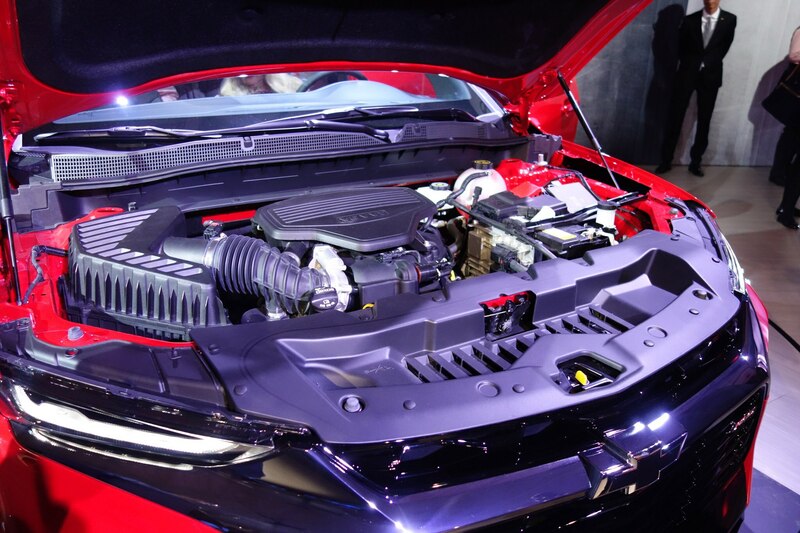 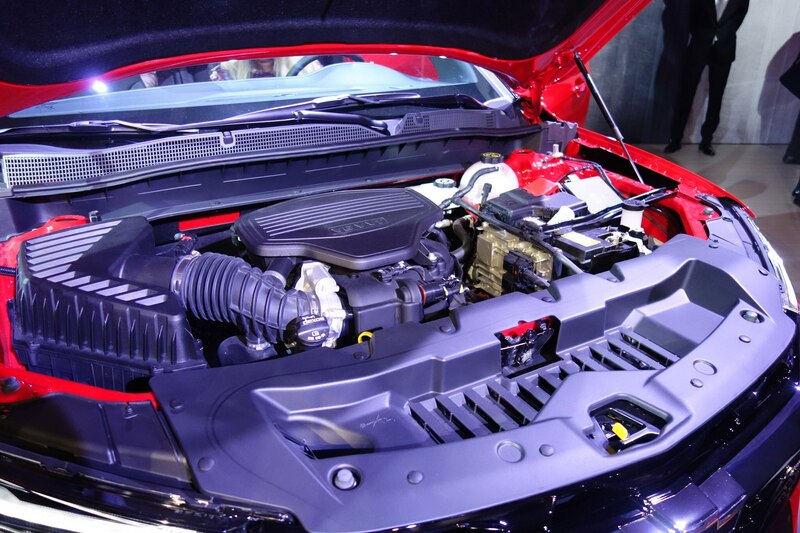 It’s available with a 2.5-liter inline four engine or a 3.6-liter V-6 that’s mated to a nine-speed automatic transmission. 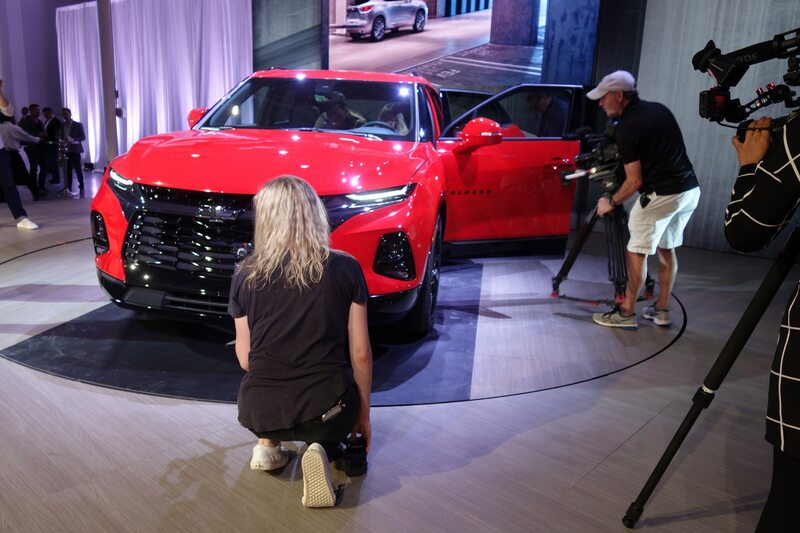 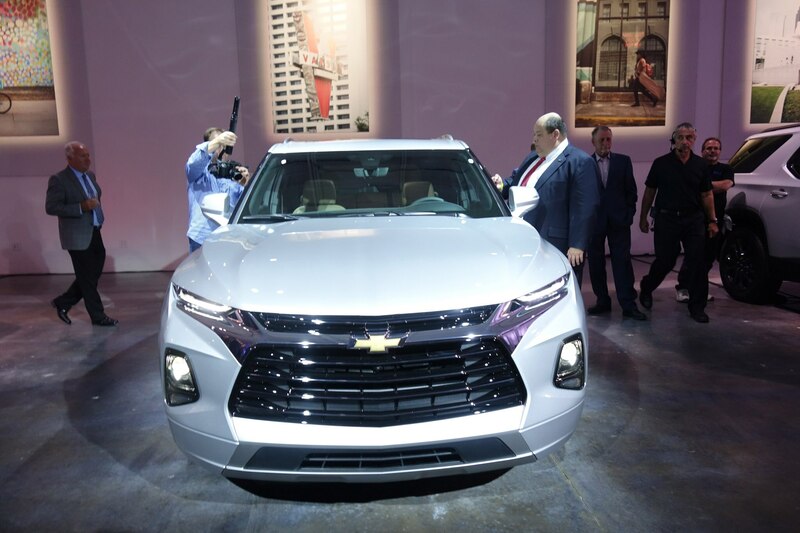 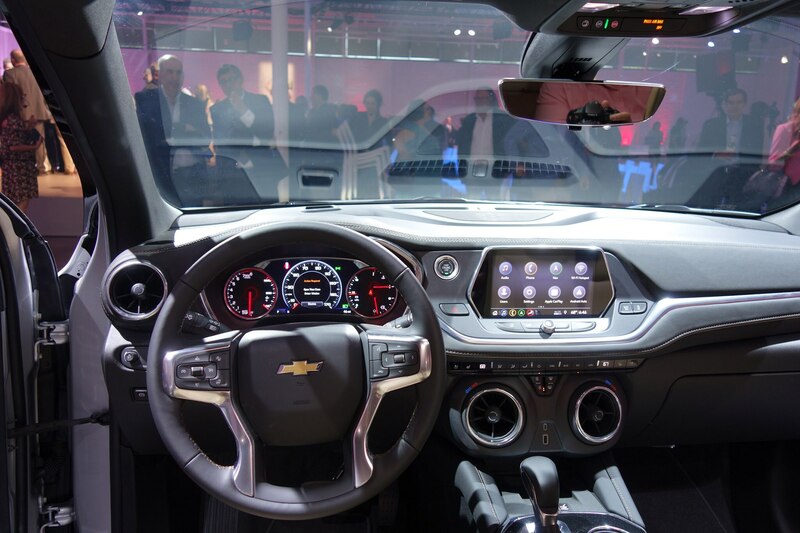 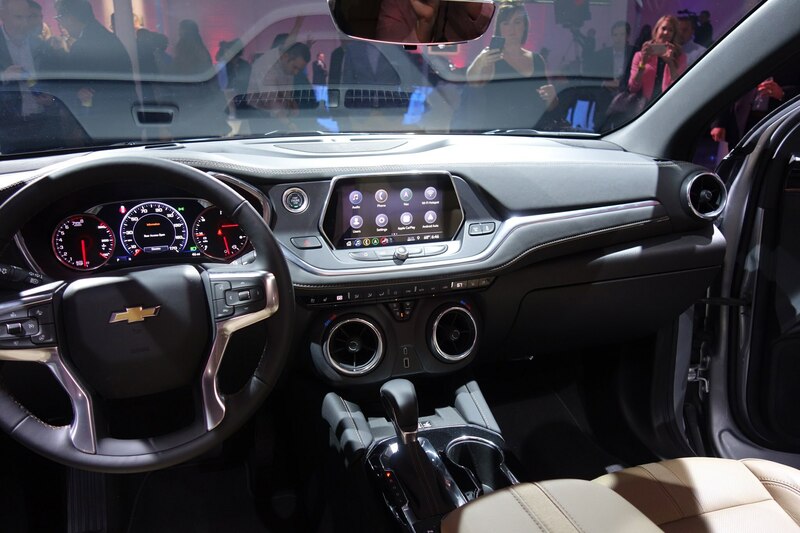 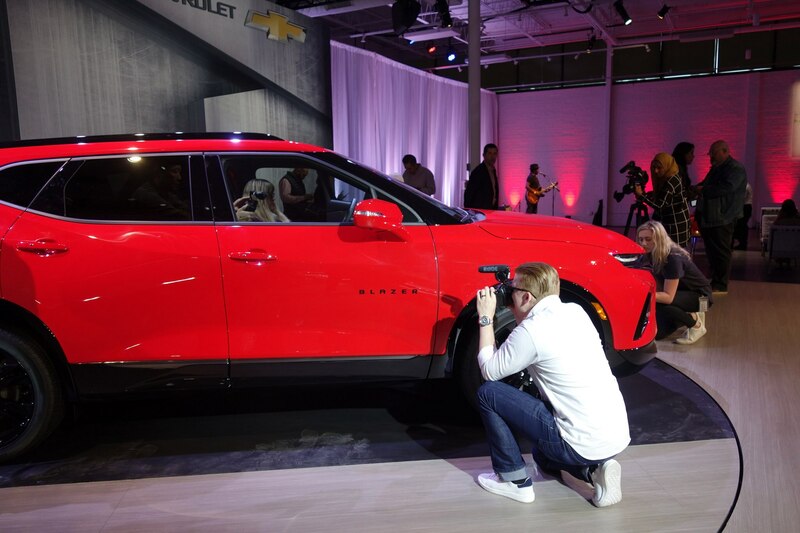 Stay tuned for our driving impressions before it goes on sale early next year, but in the meantime check out more photos of the 2019 Chevrolet Blazer in the big gallery below. 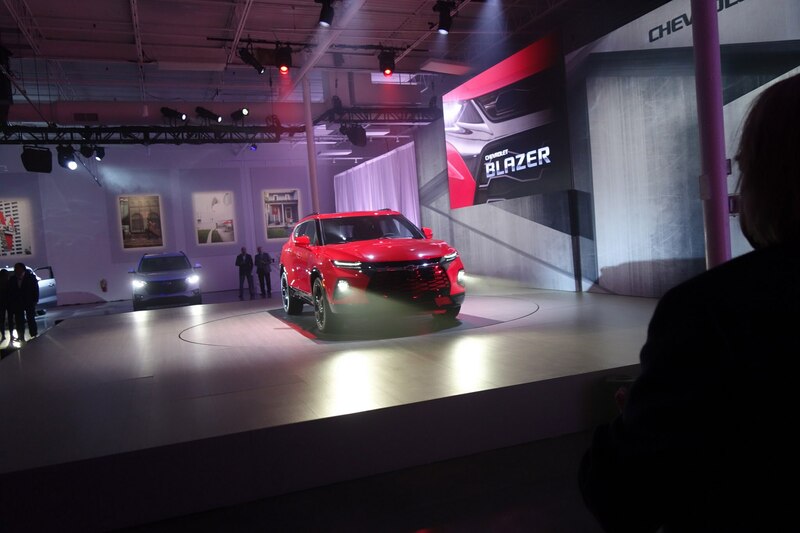 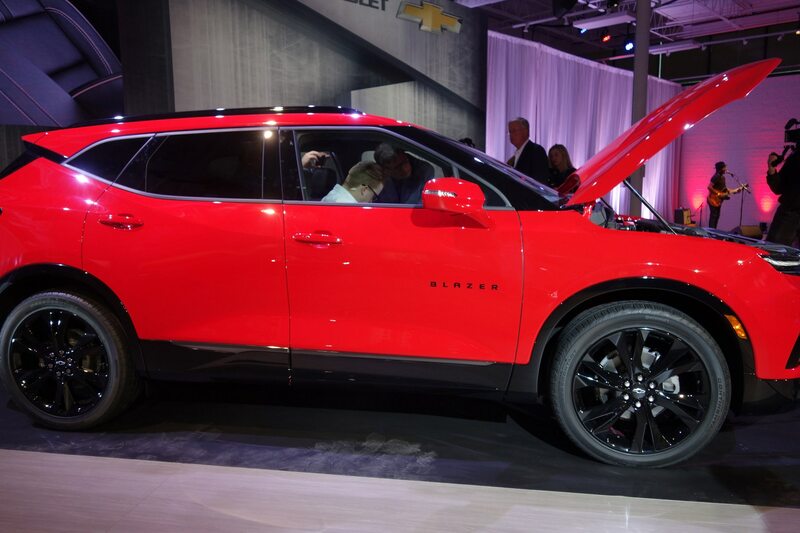 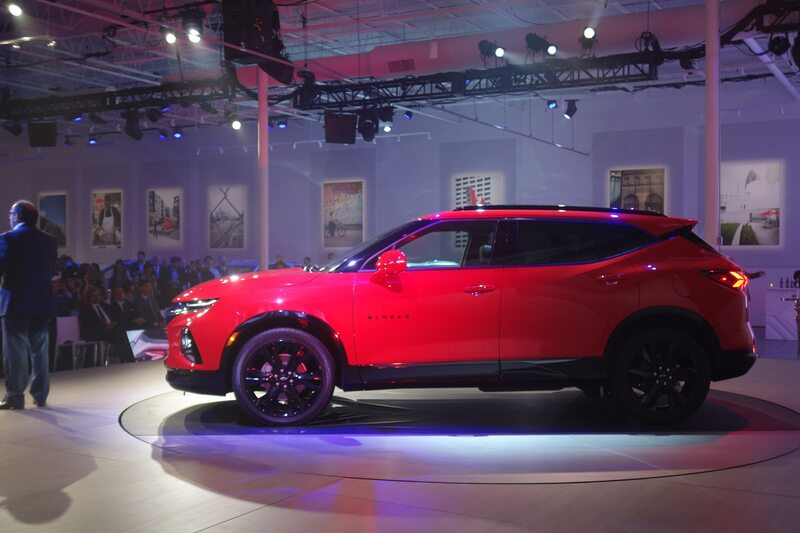 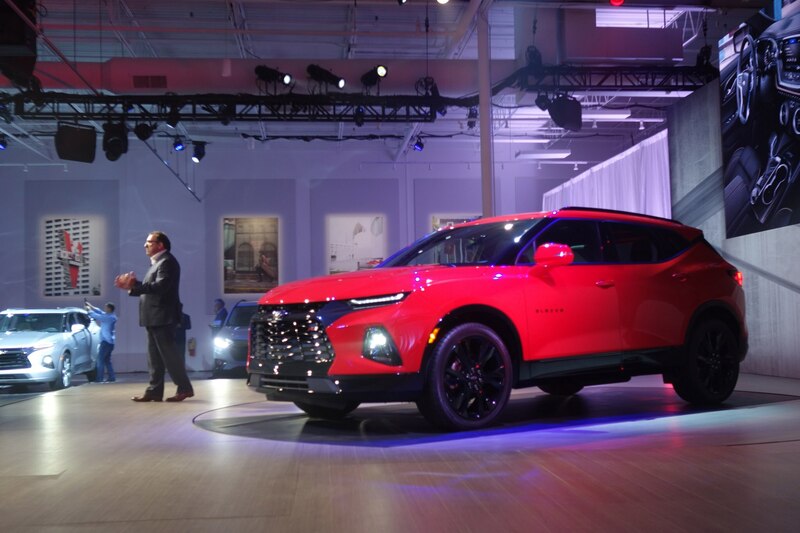 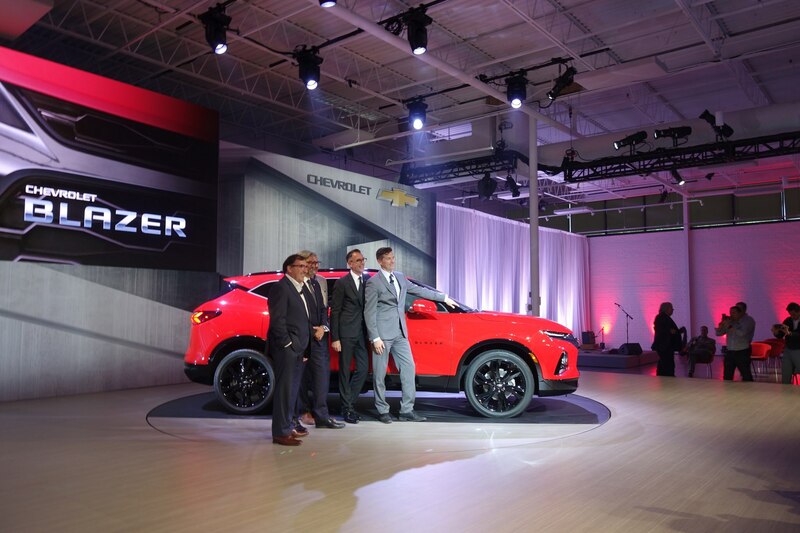 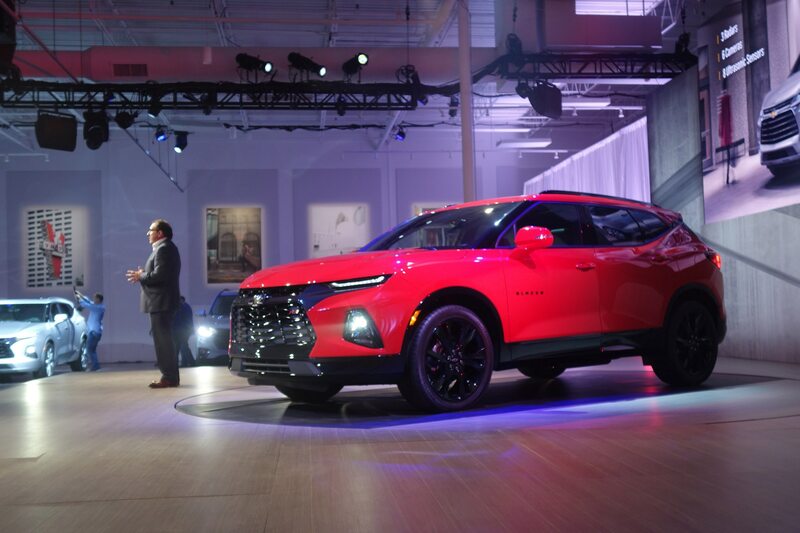 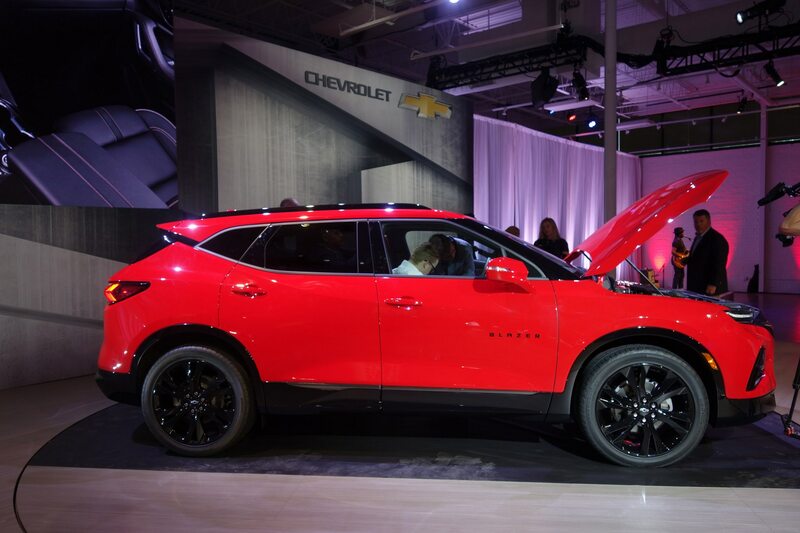 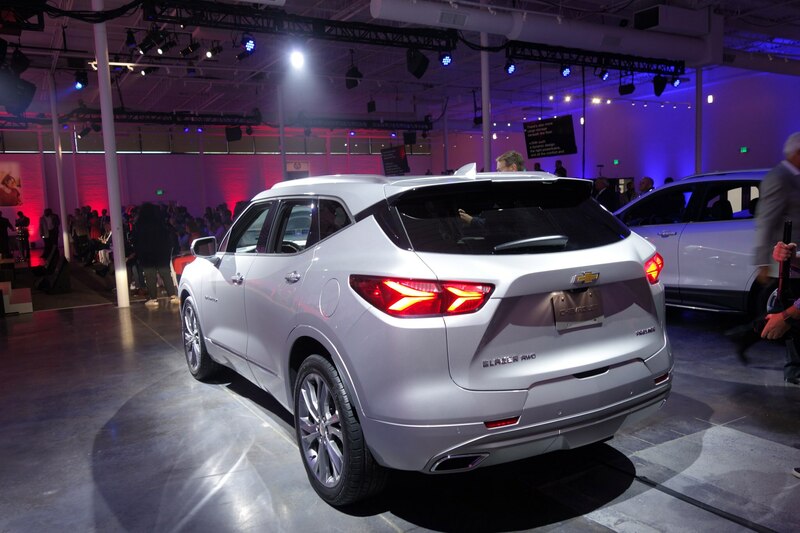 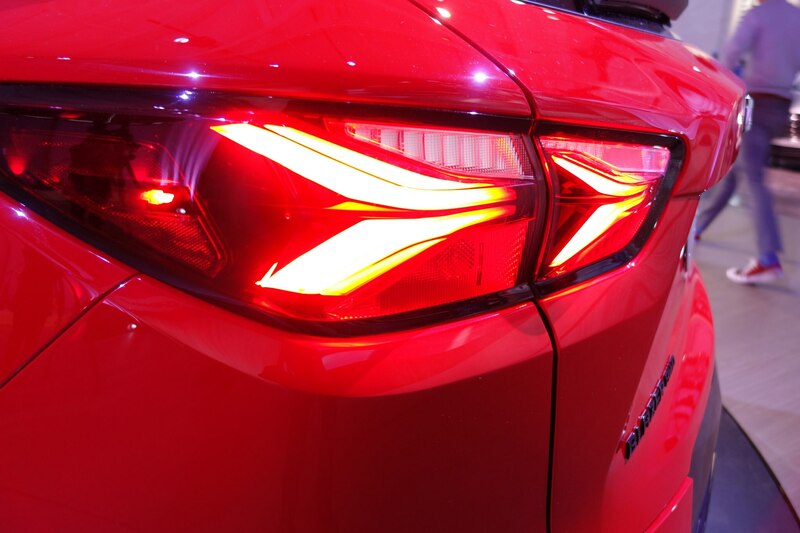 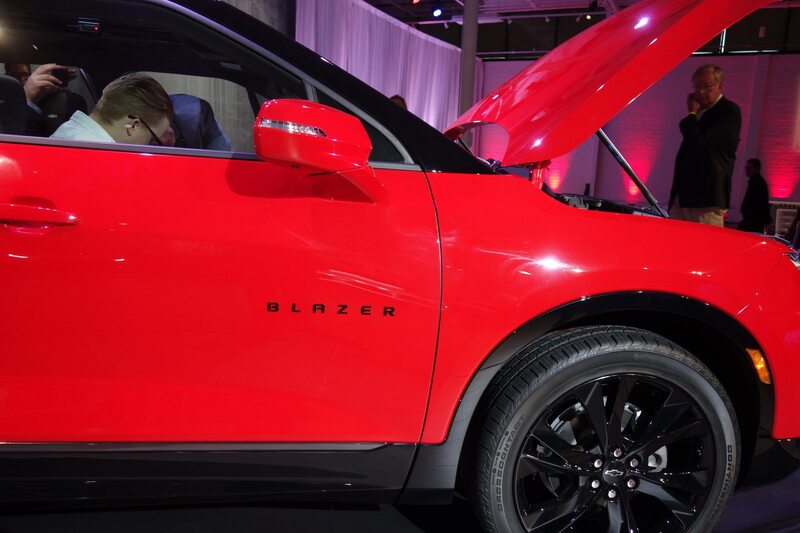 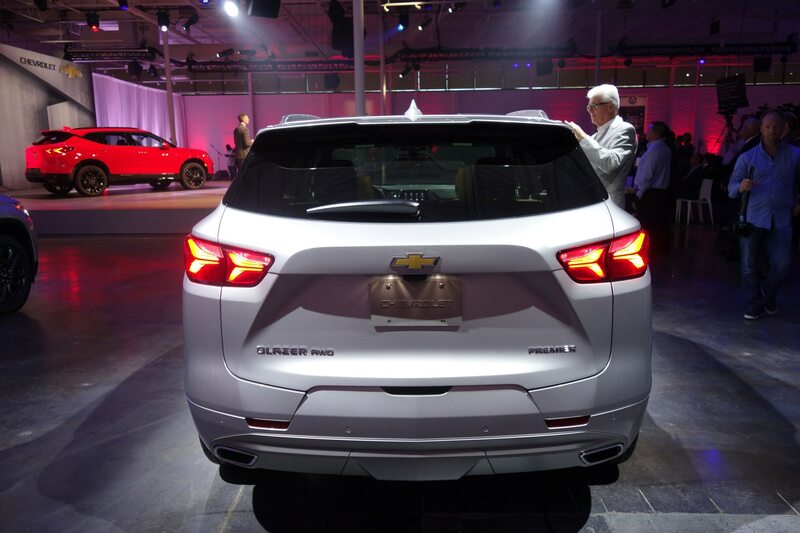 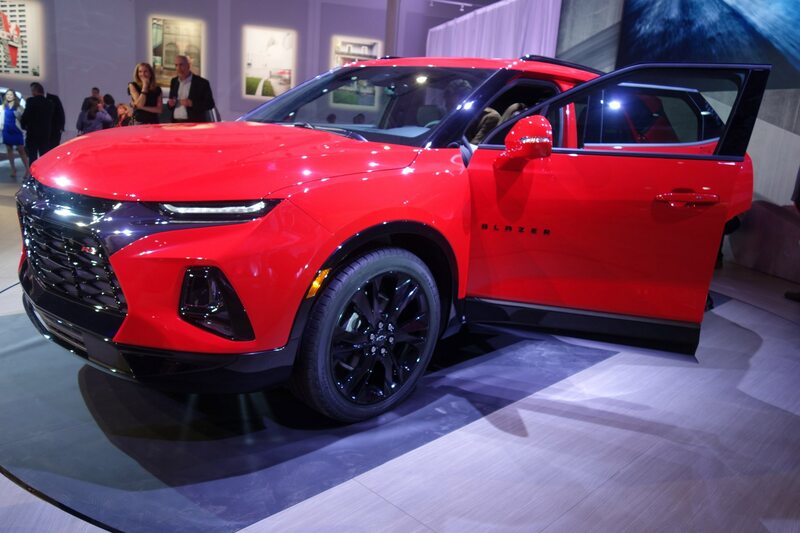 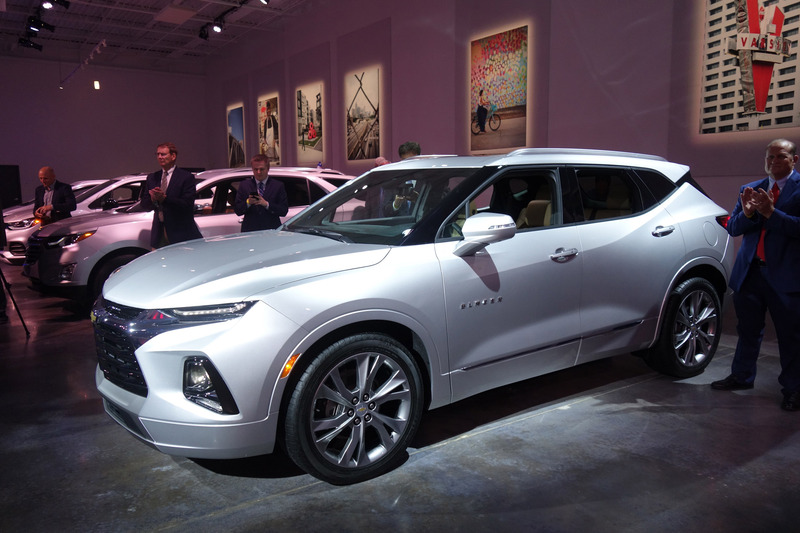 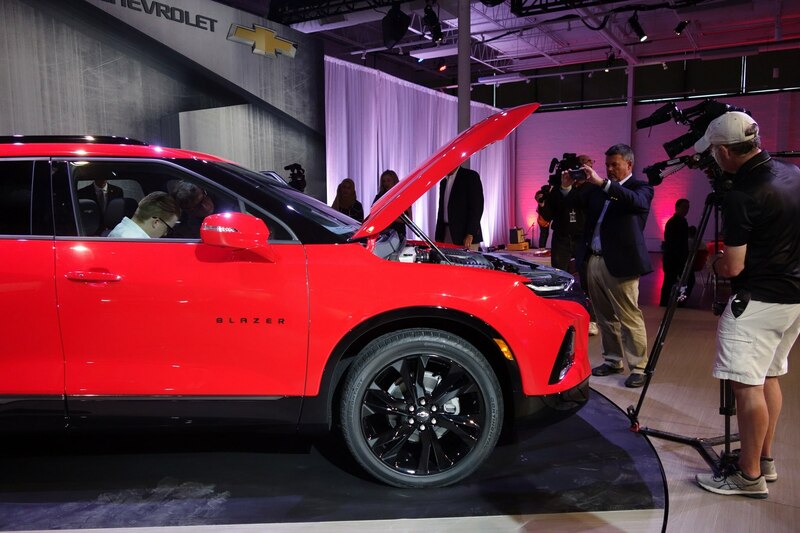 Read Eight Fascinating Facts About the 2019 Chevrolet Blazer here.